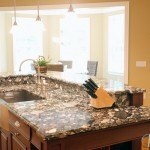 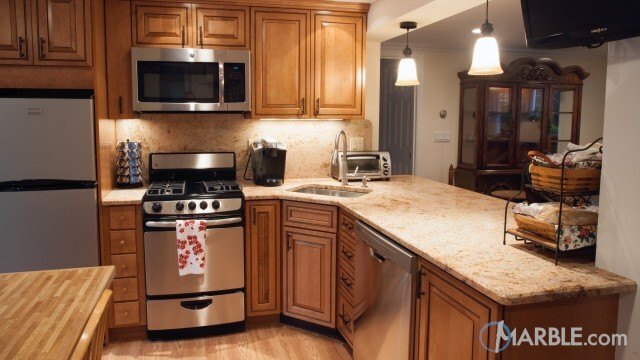 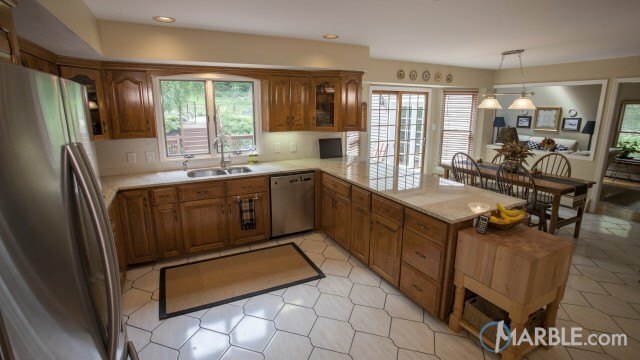 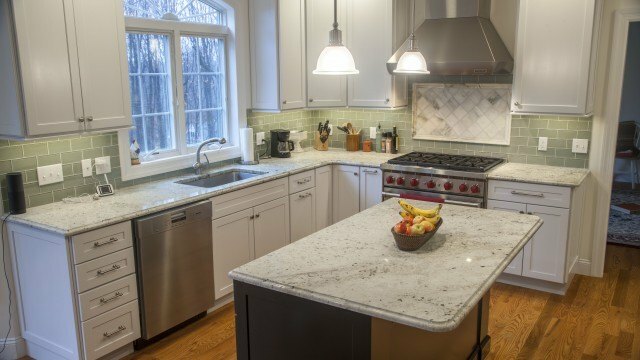 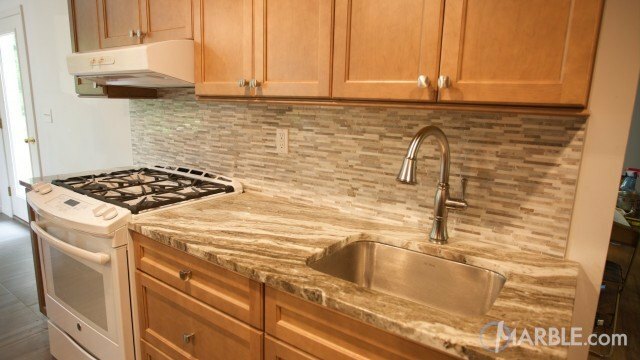 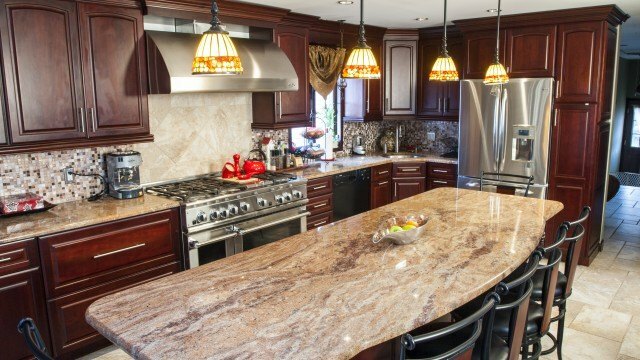 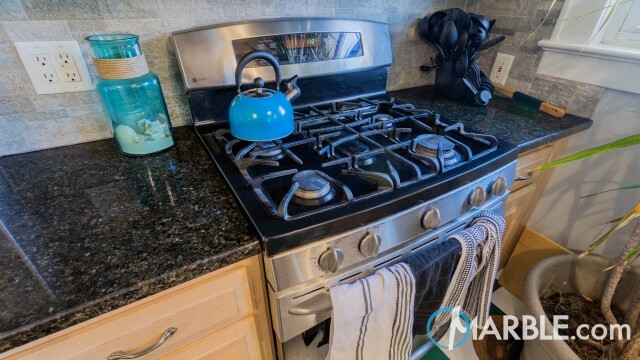 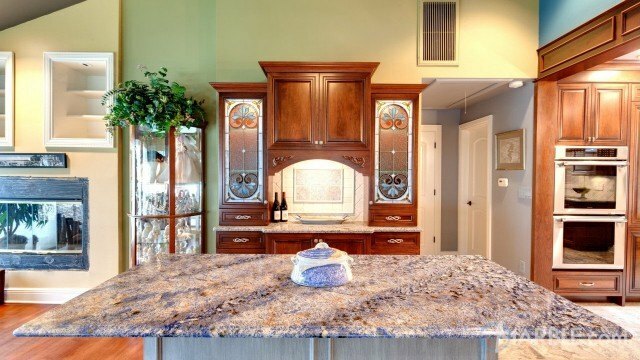 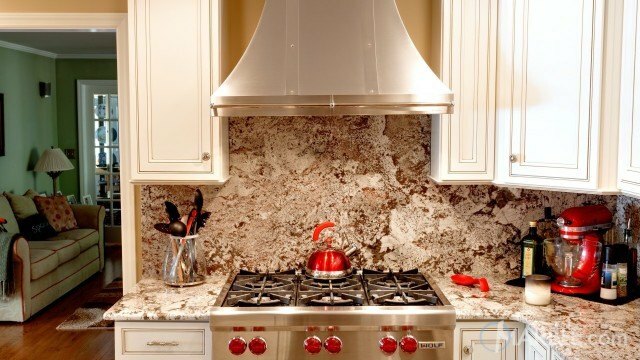 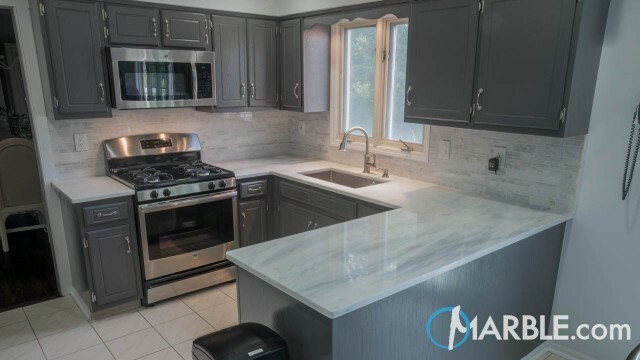 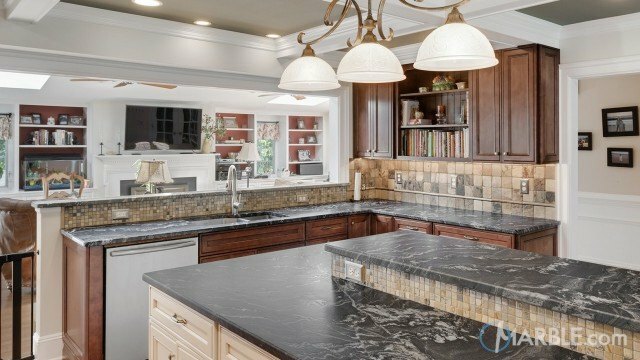 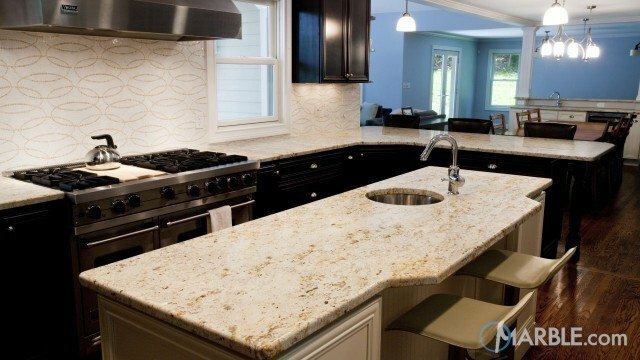 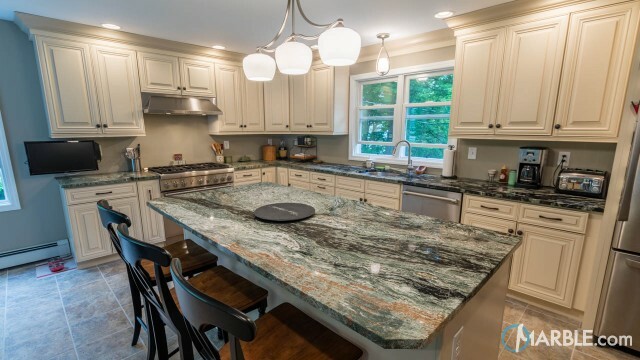 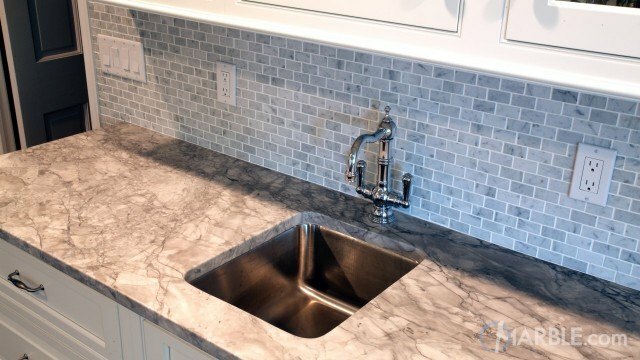 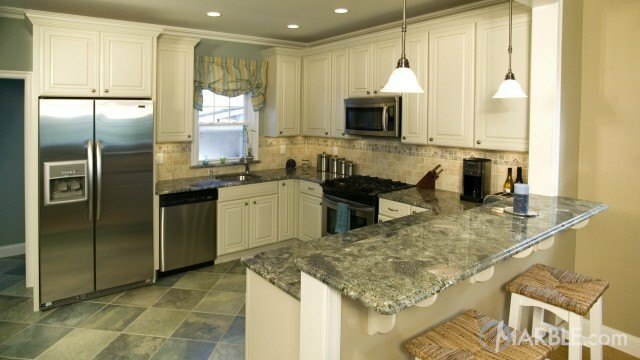 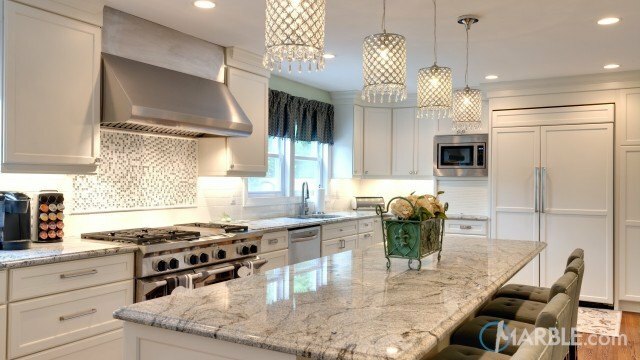 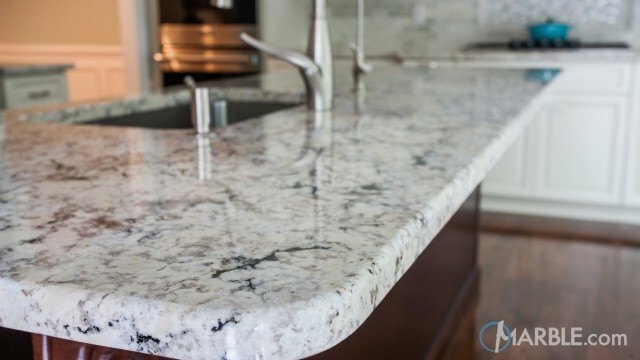 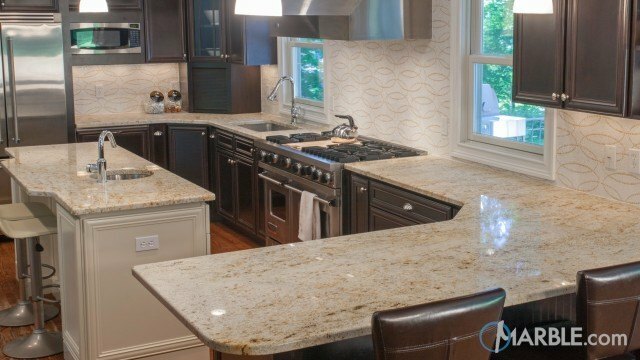 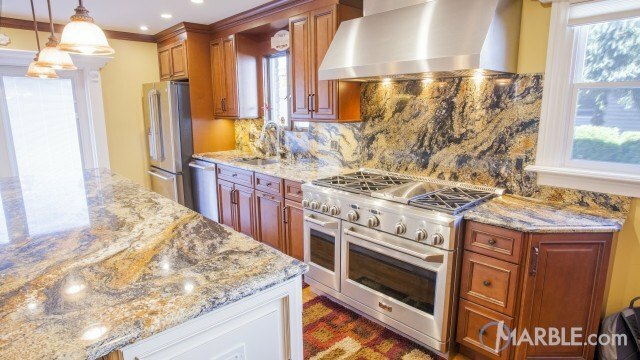 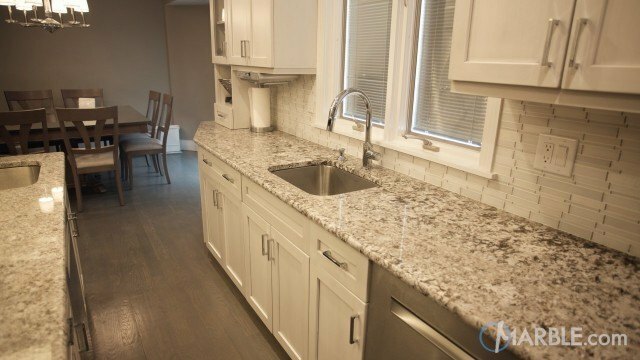 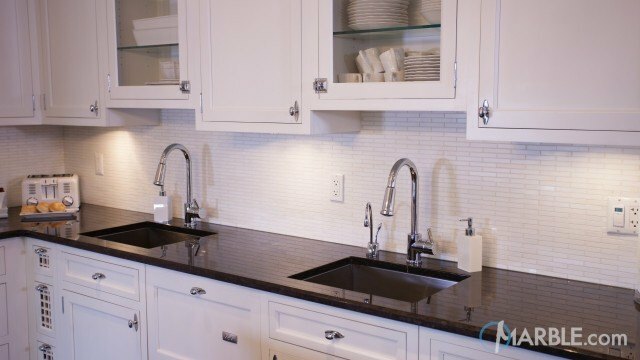 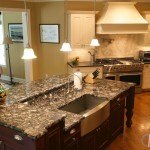 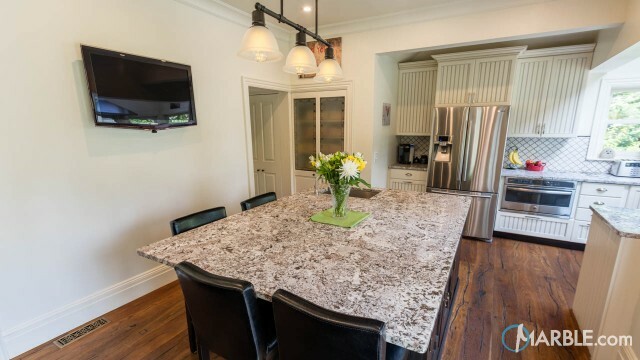 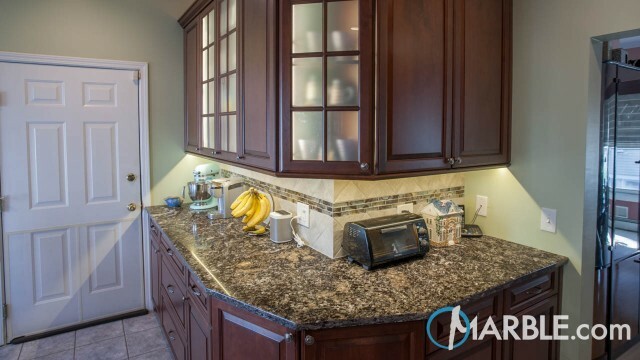 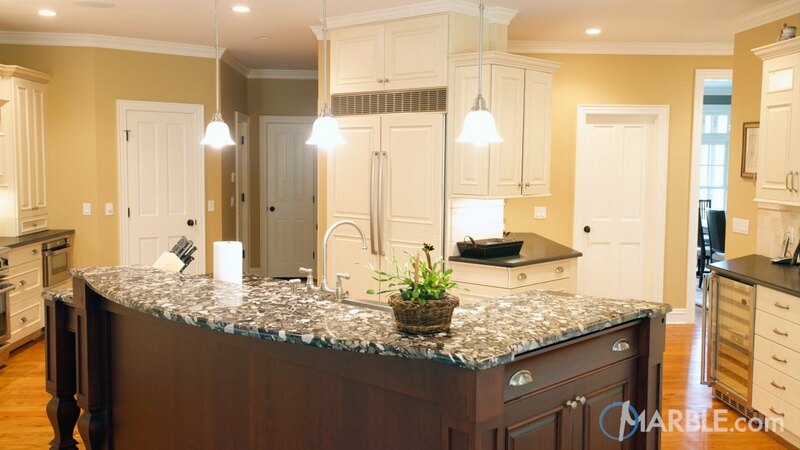 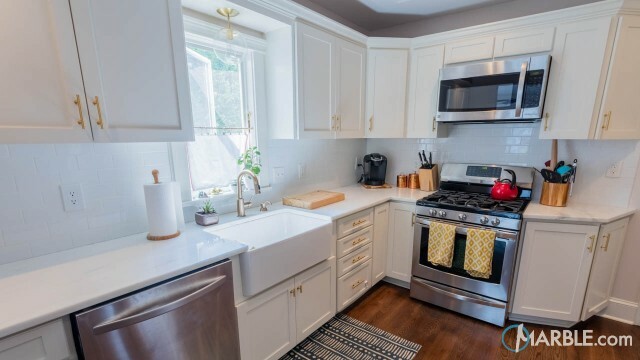 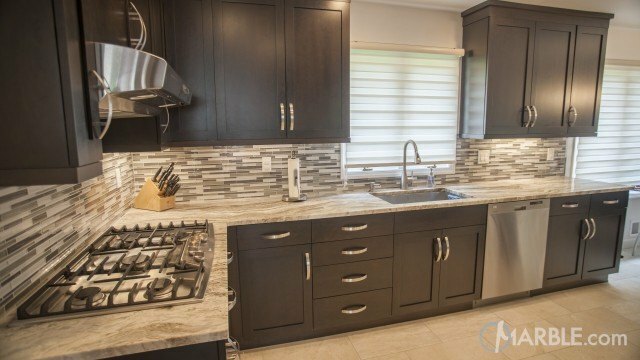 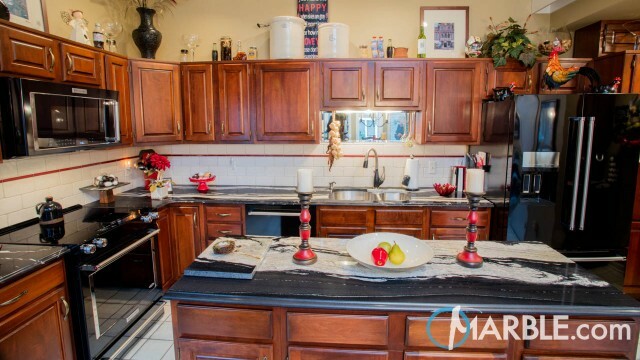 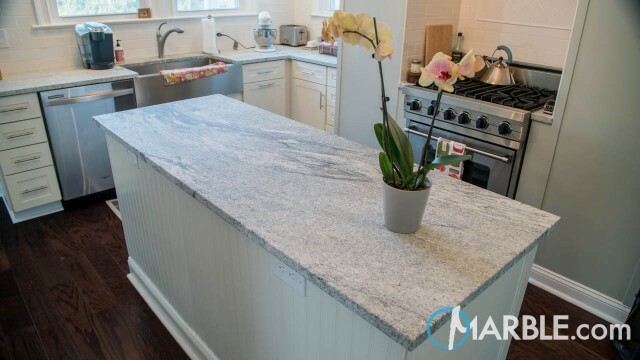 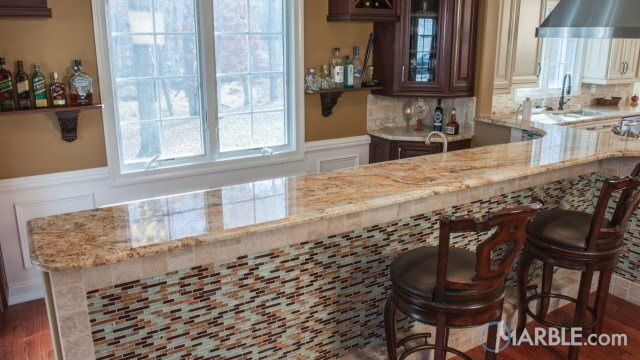 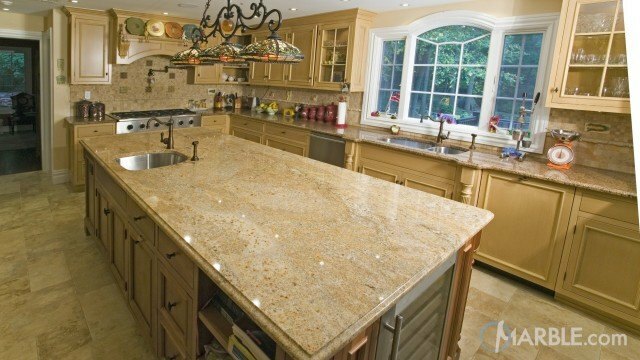 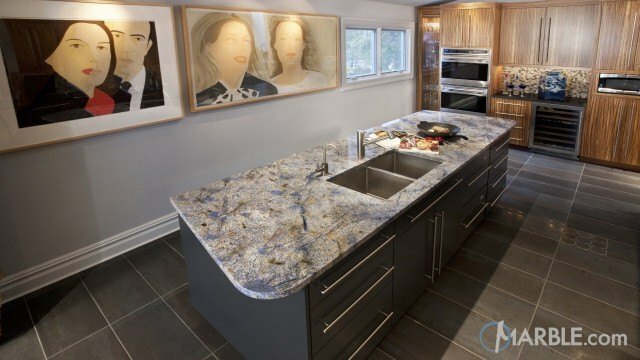 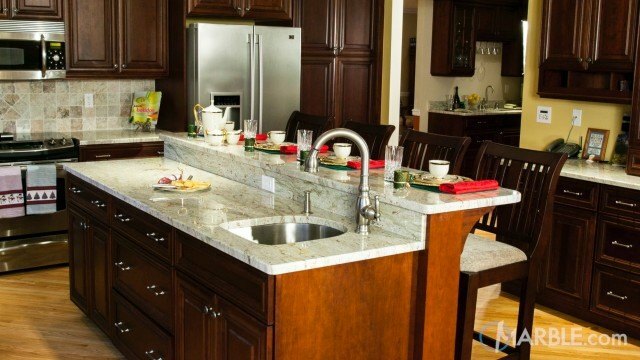 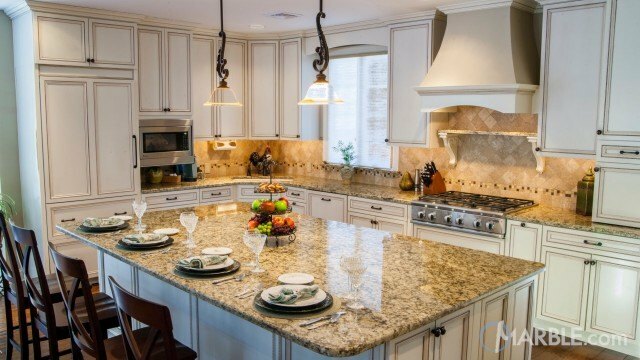 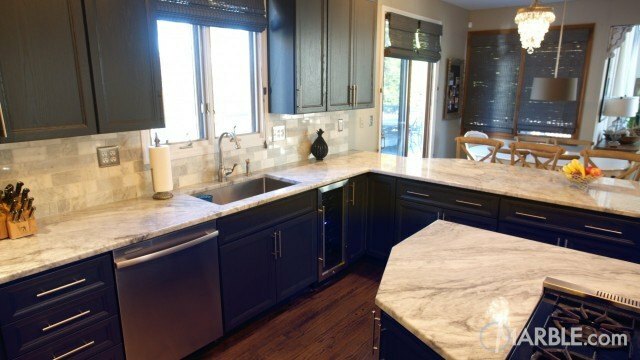 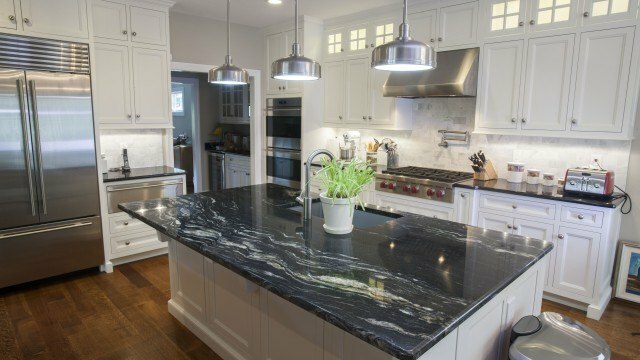 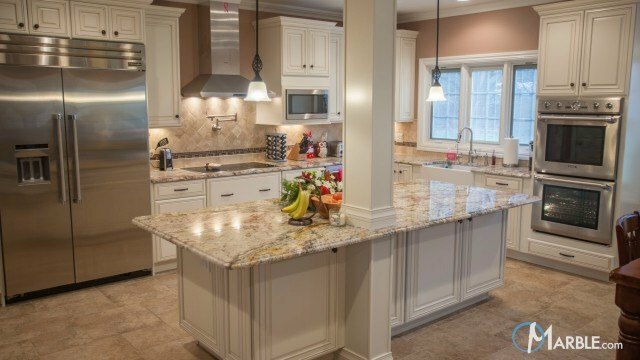 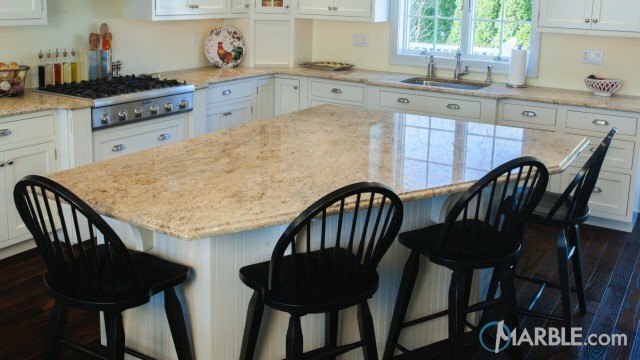 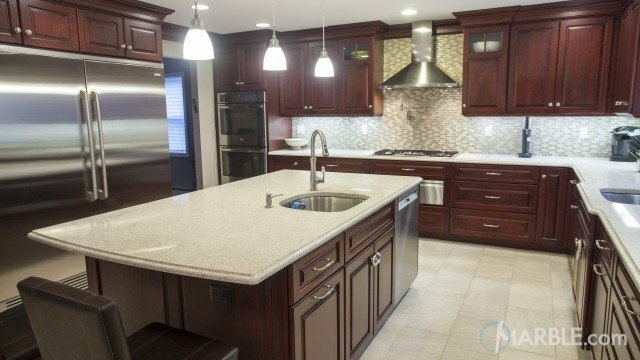 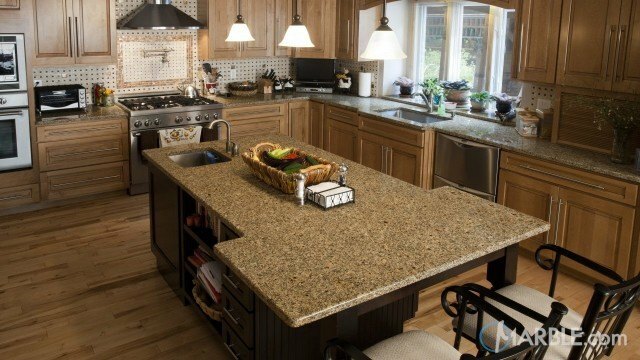 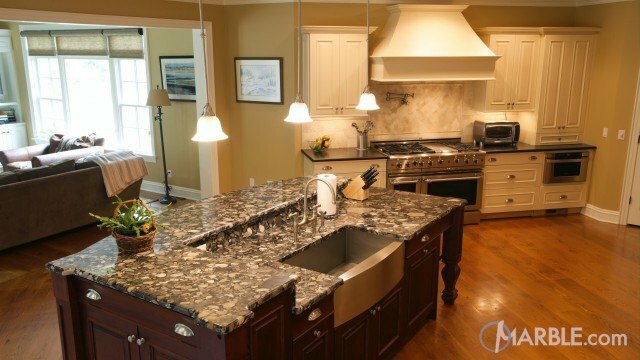 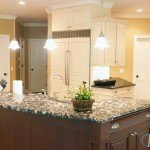 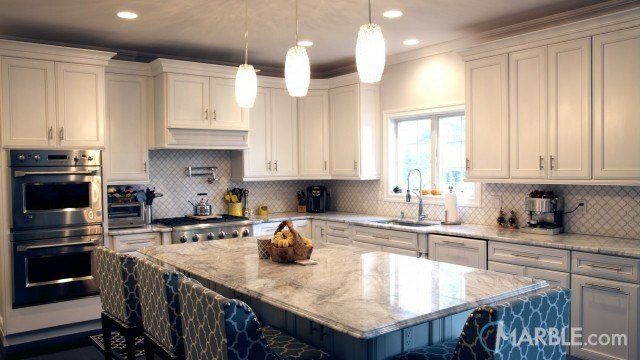 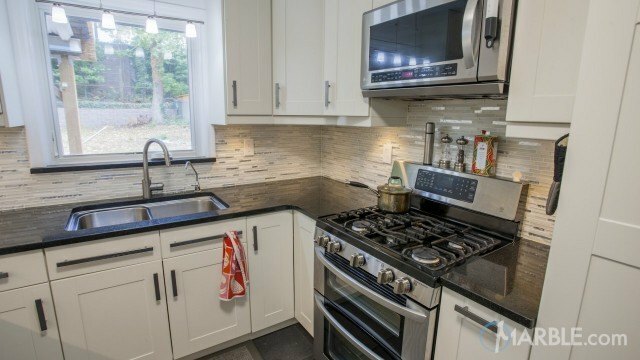 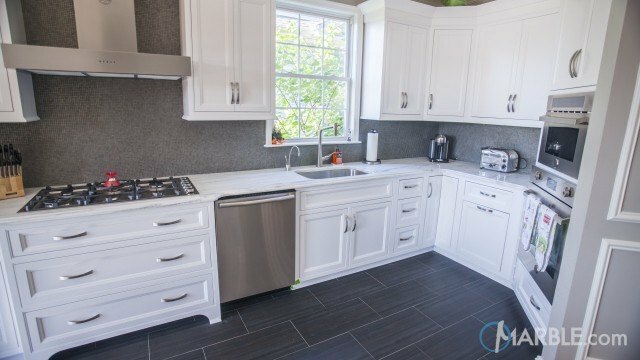 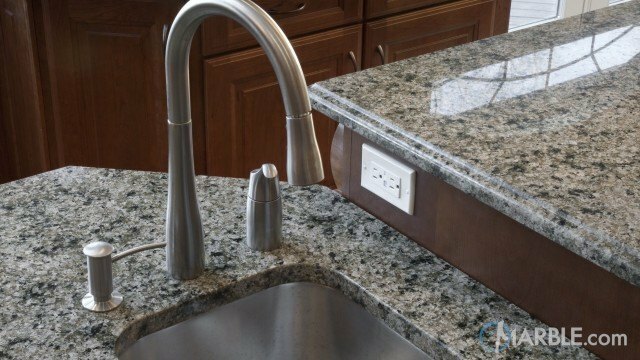 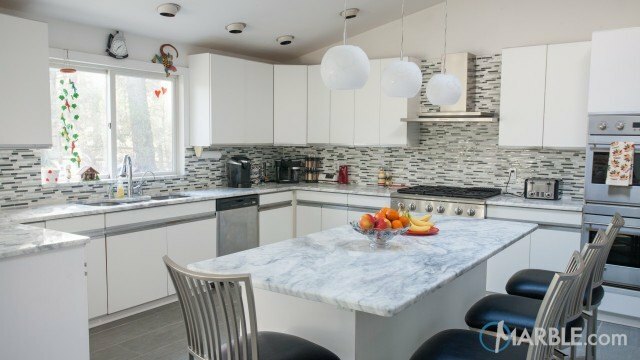 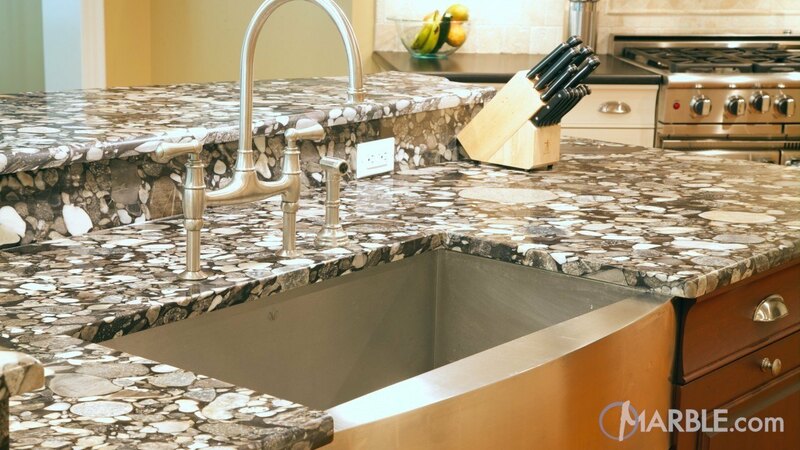 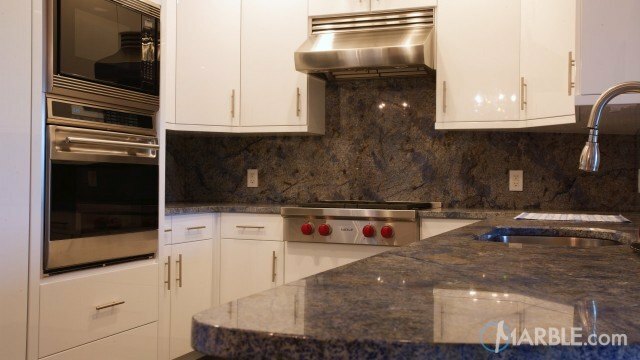 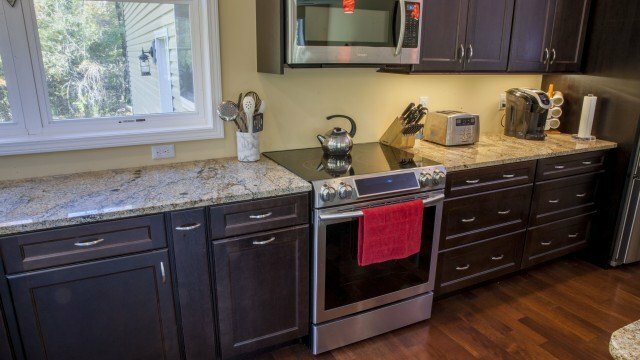 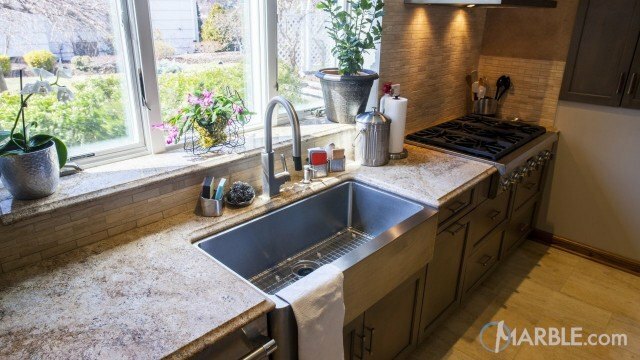 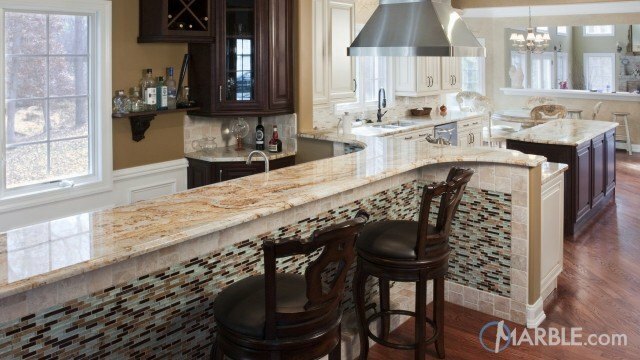 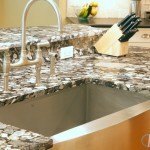 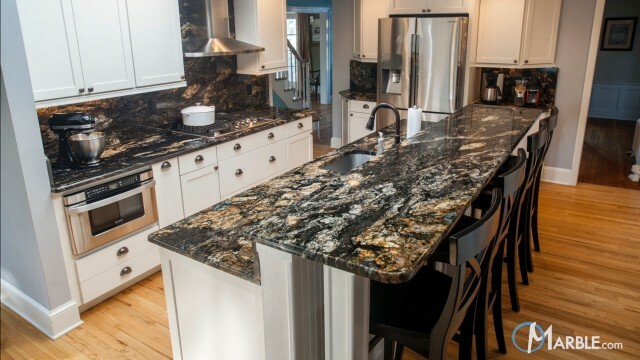 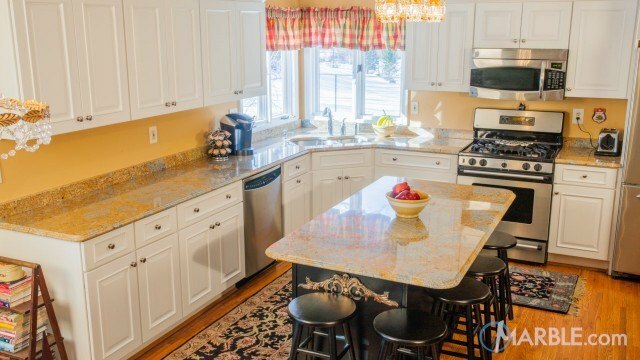 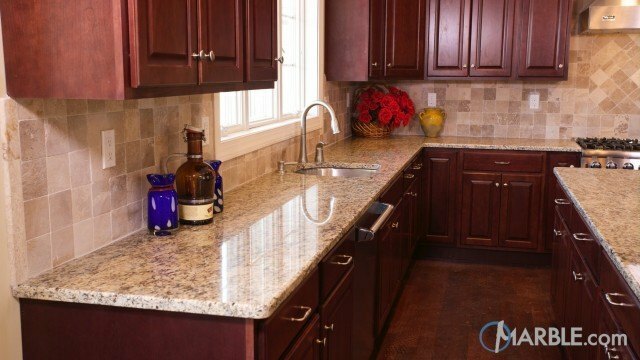 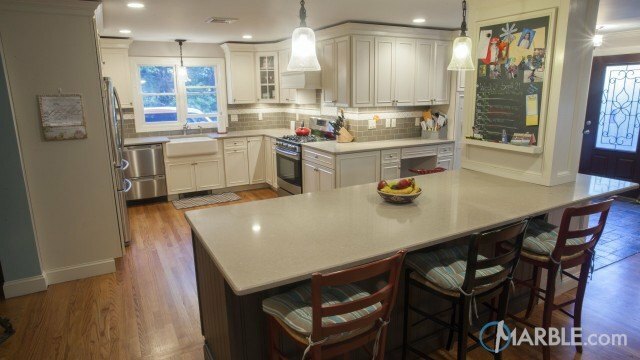 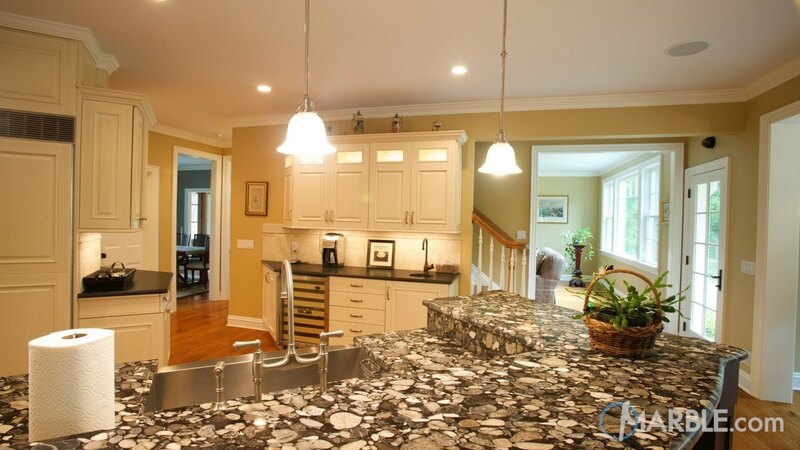 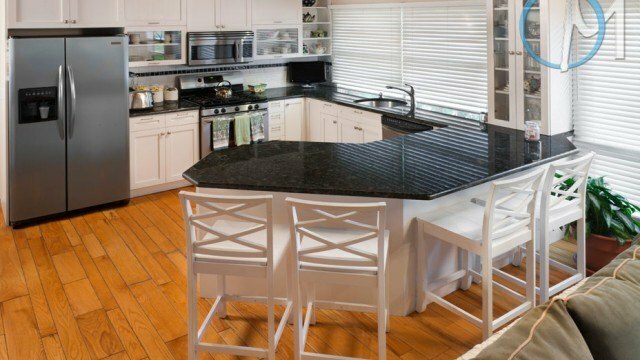 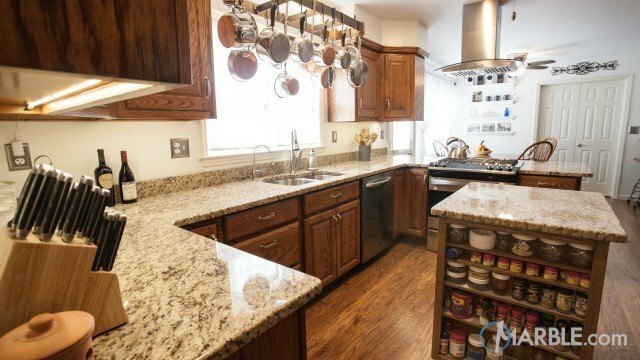 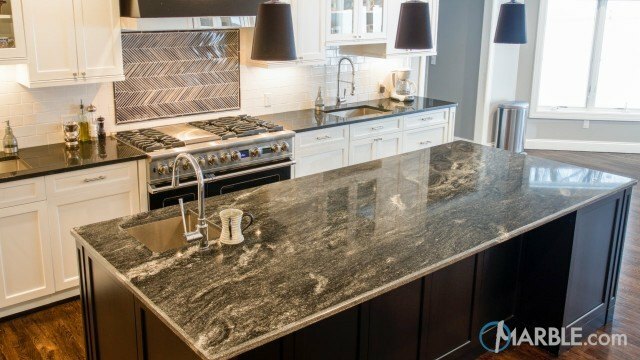 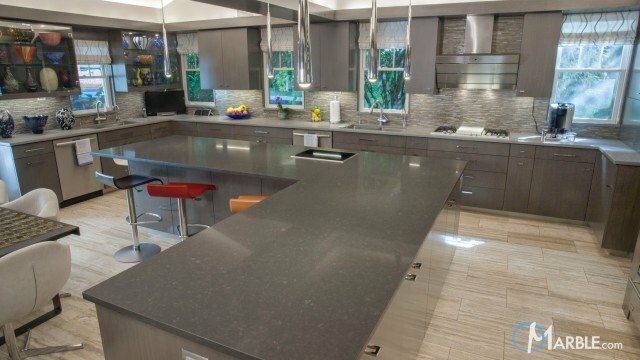 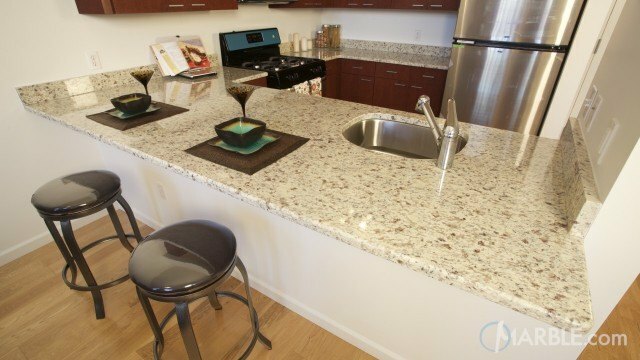 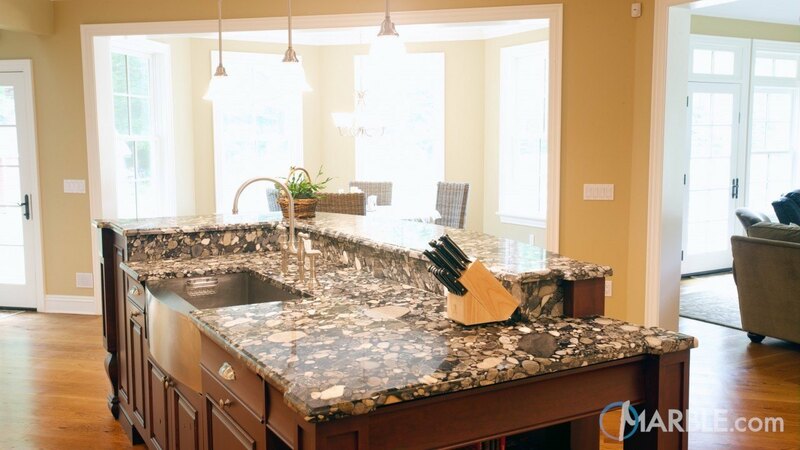 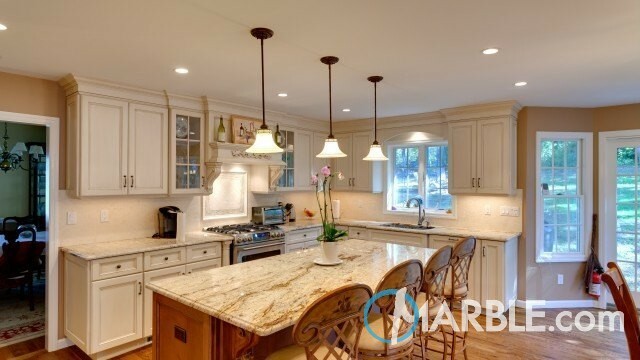 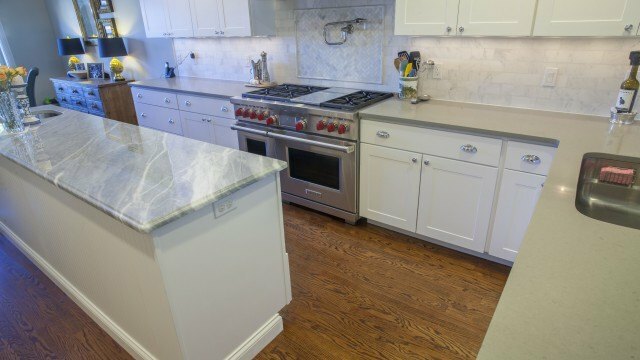 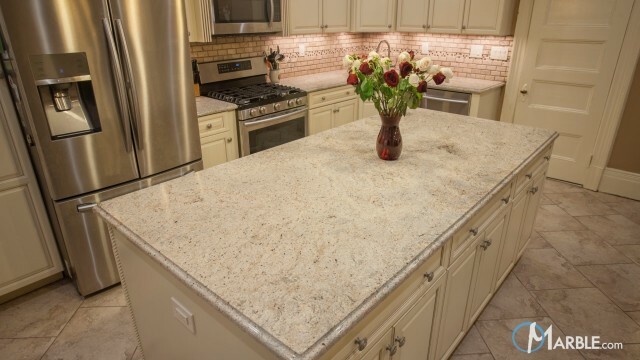 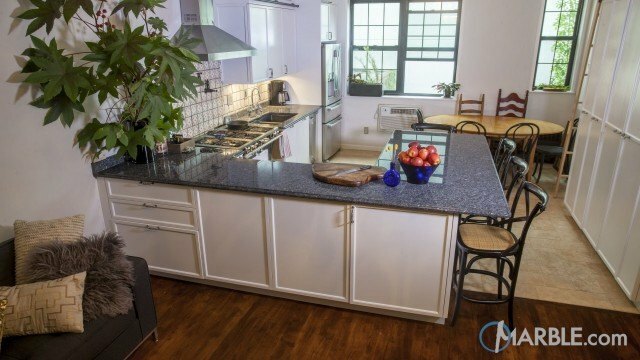 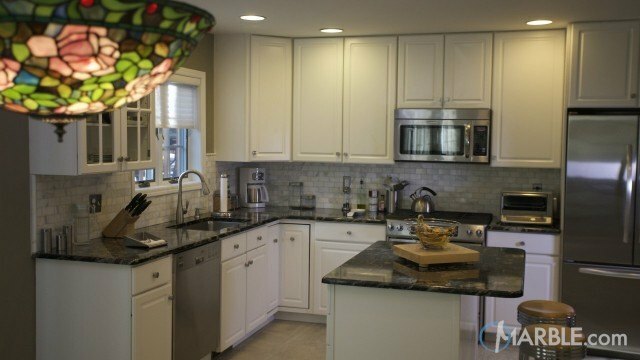 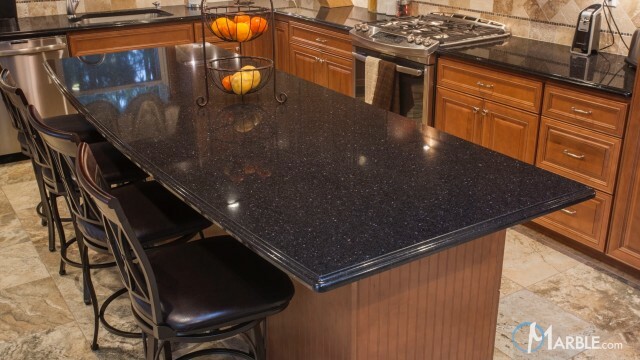 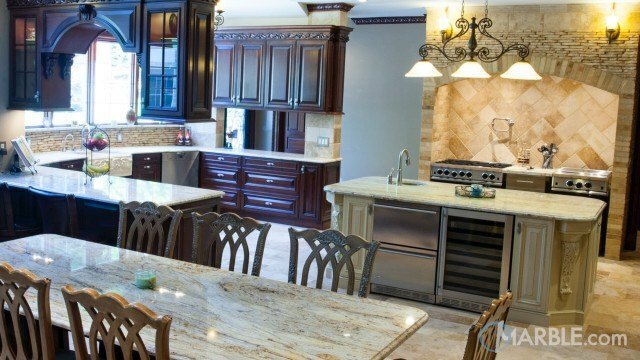 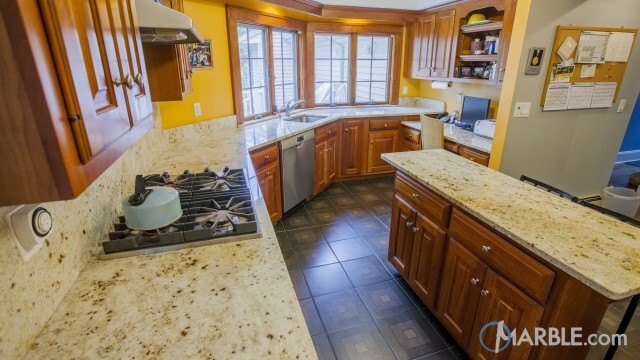 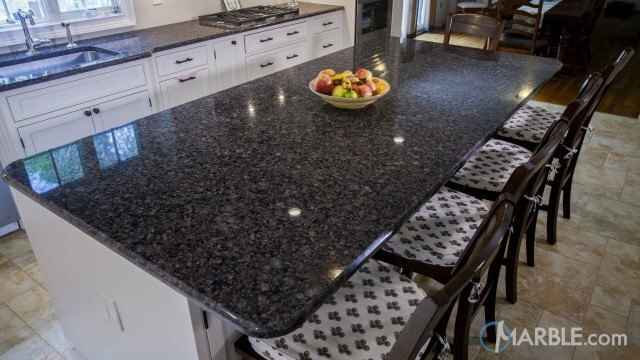 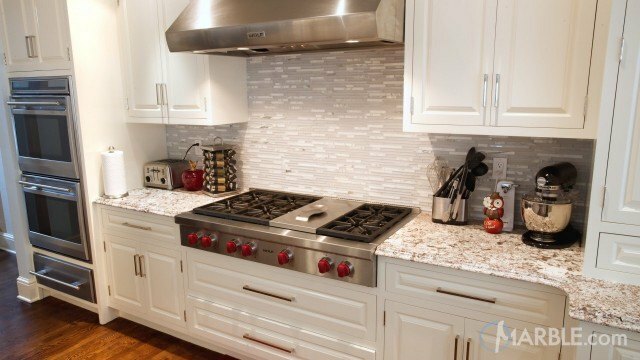 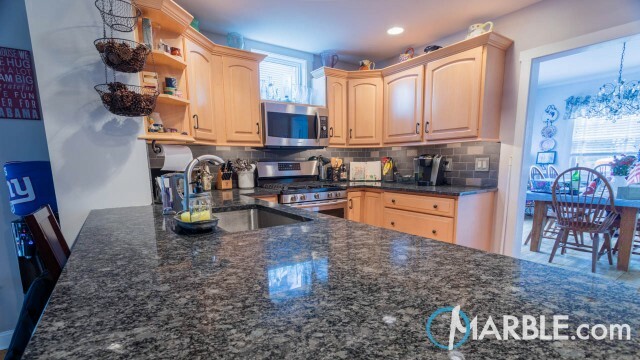 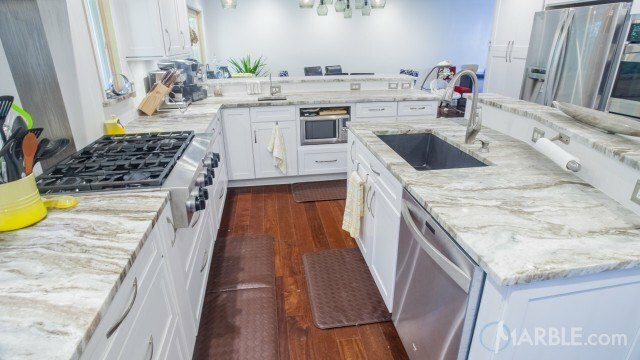 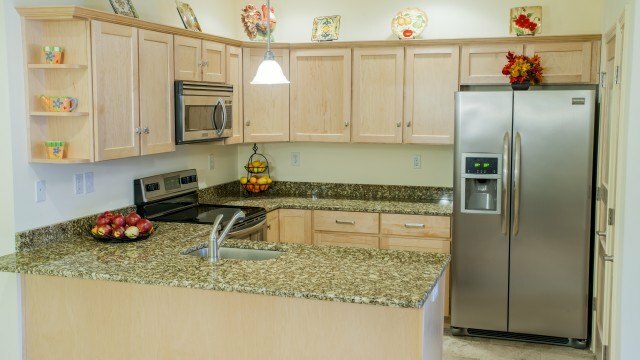 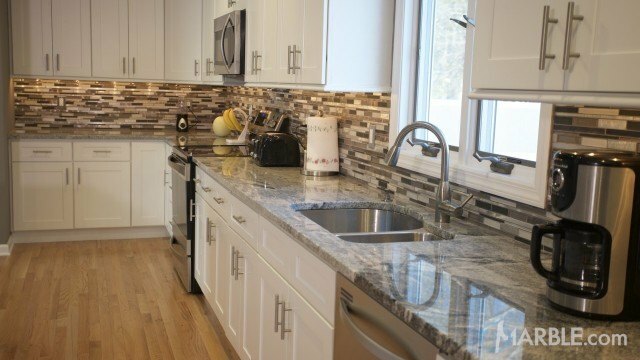 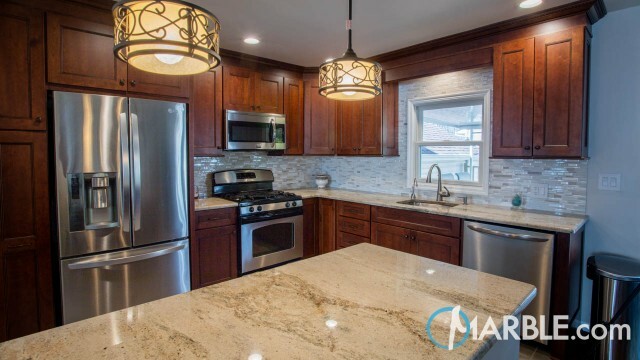 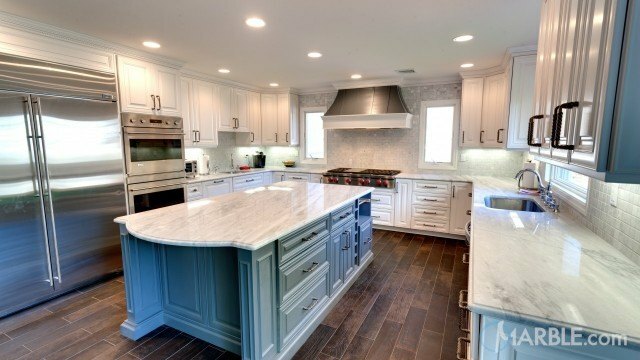 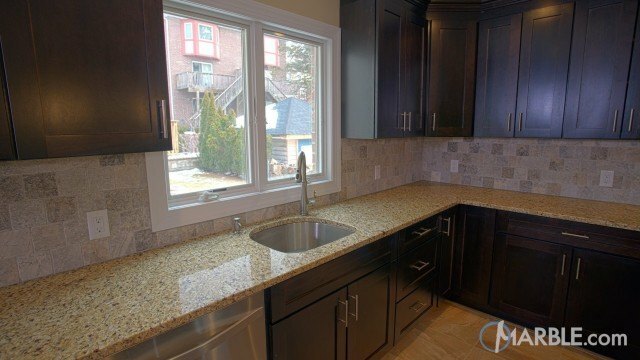 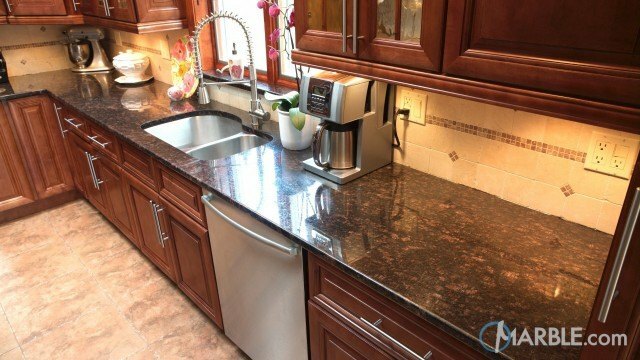 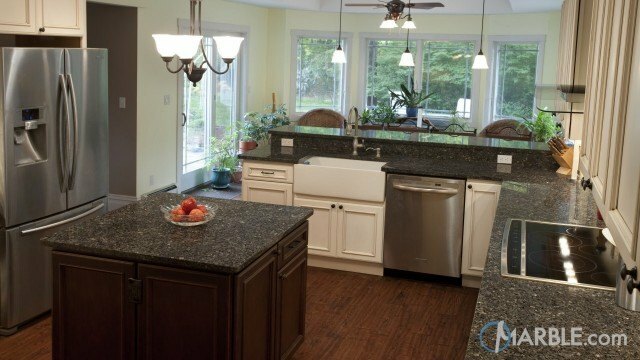 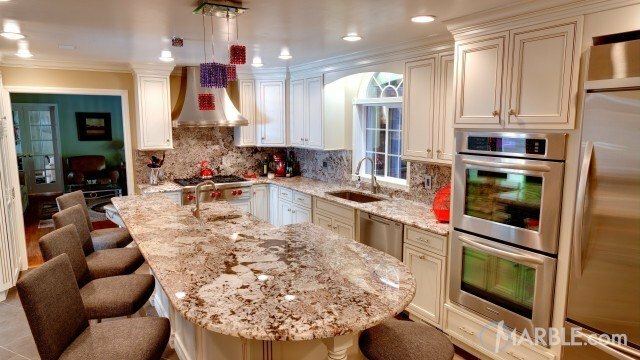 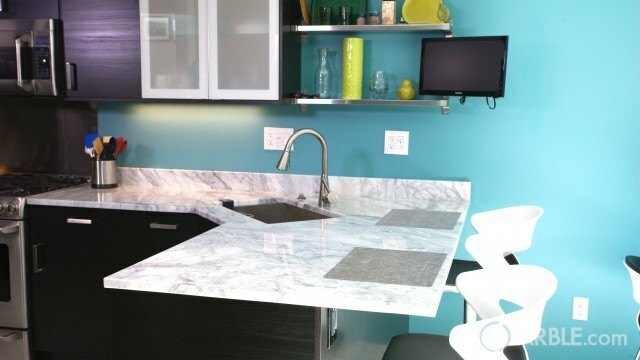 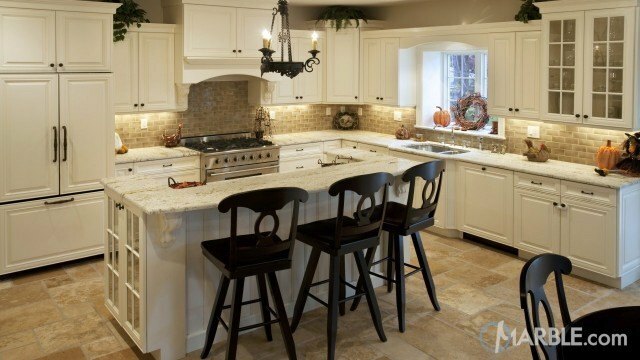 The White Black Mosaic granite used in this kitchen is a very unique stone sure to turn heads. 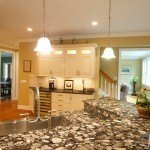 The black, beige and white patterns running through the stone easily become the focal point. 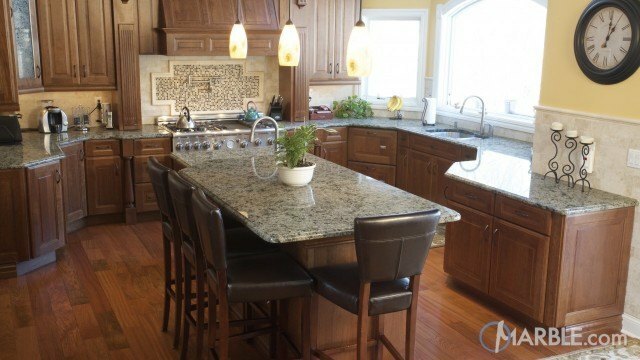 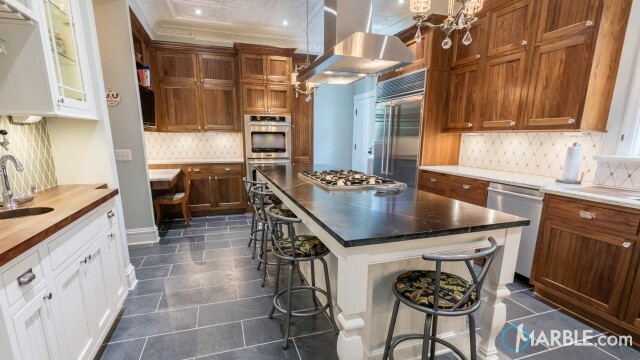 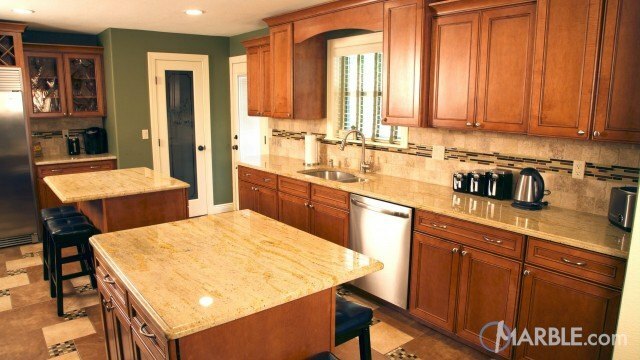 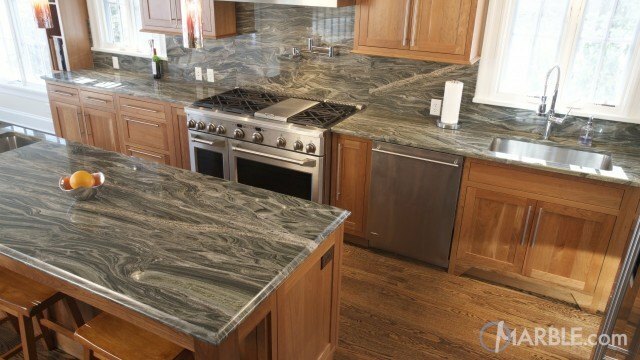 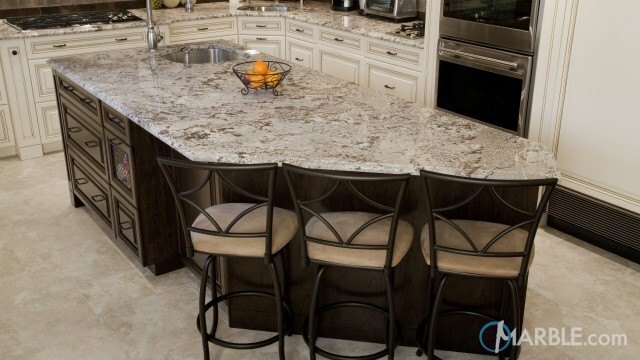 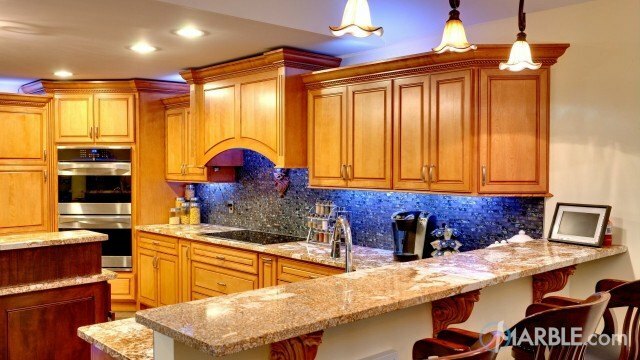 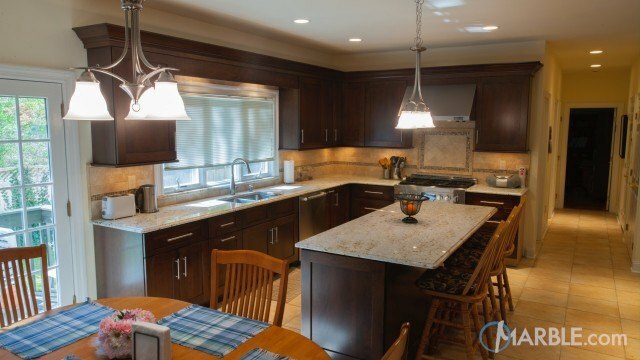 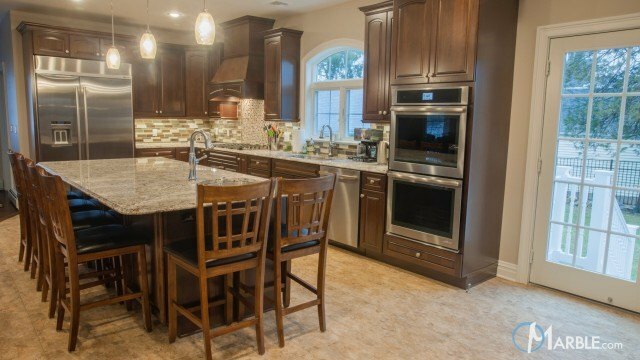 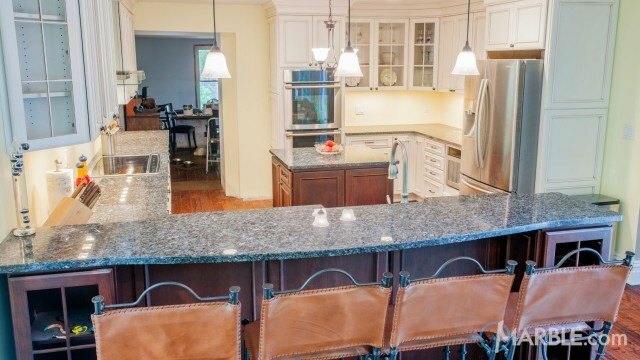 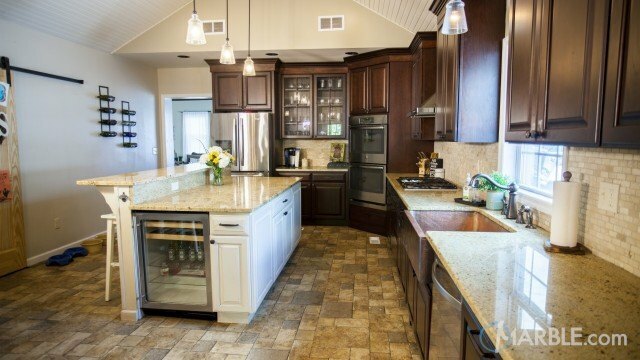 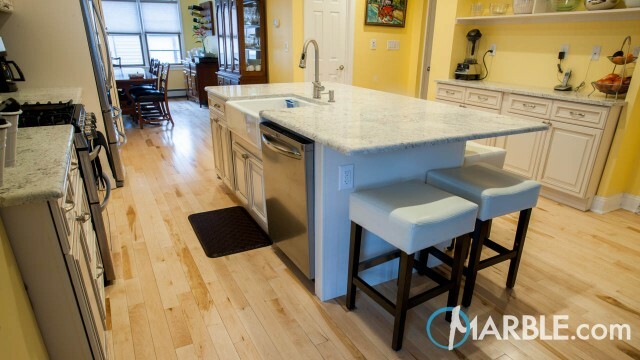 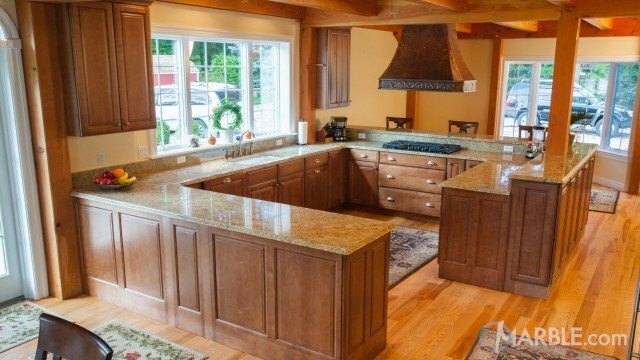 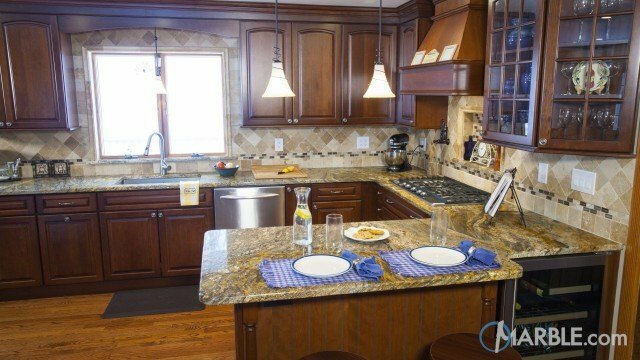 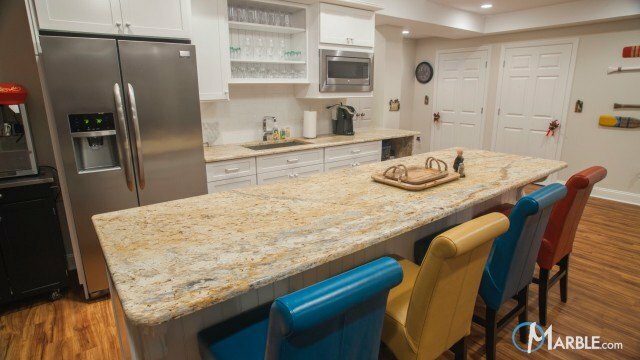 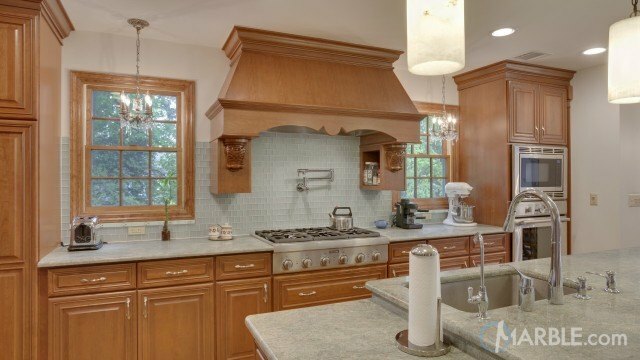 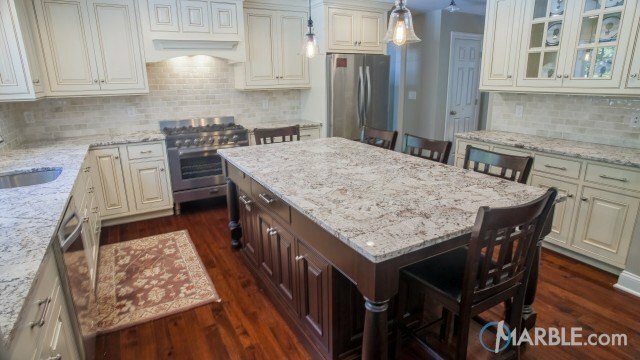 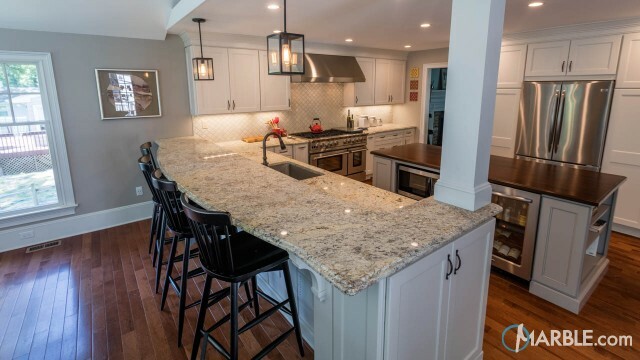 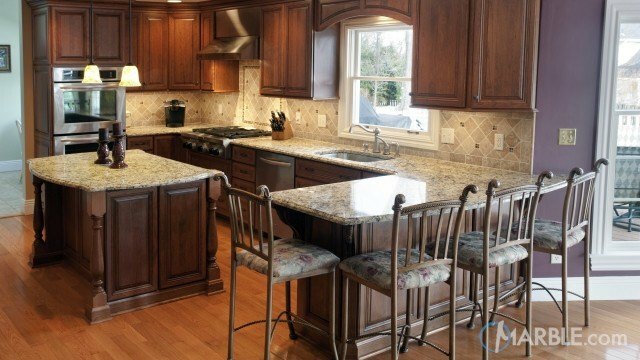 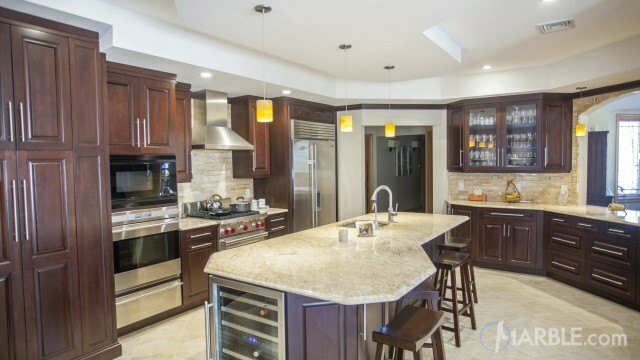 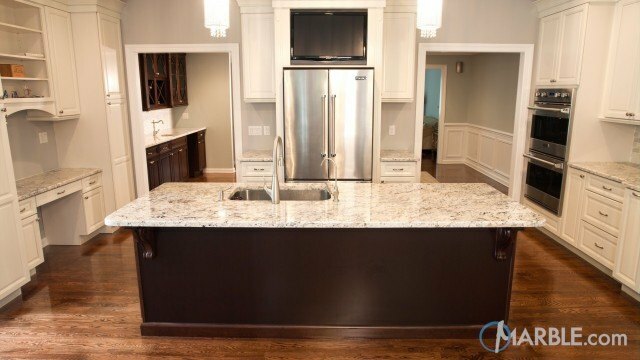 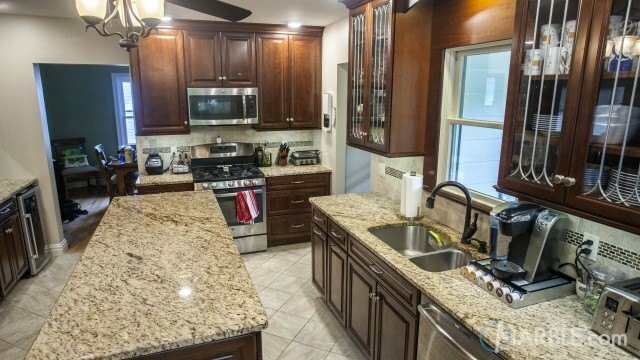 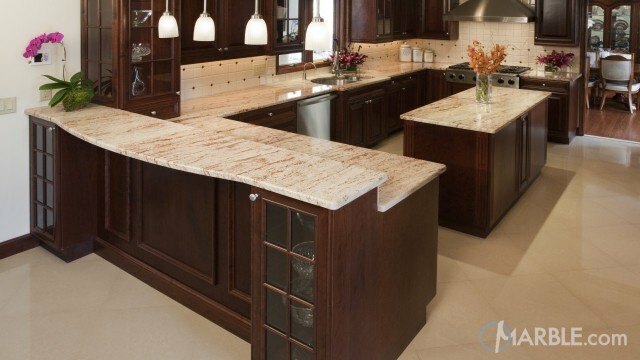 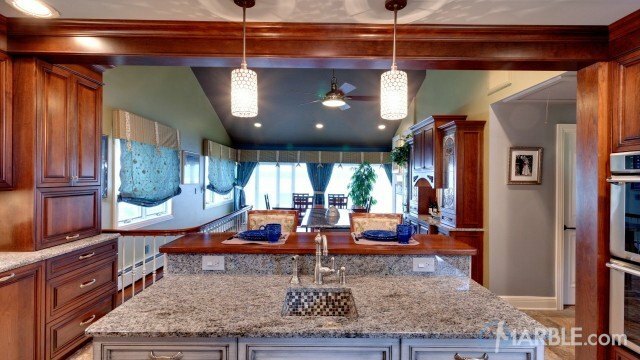 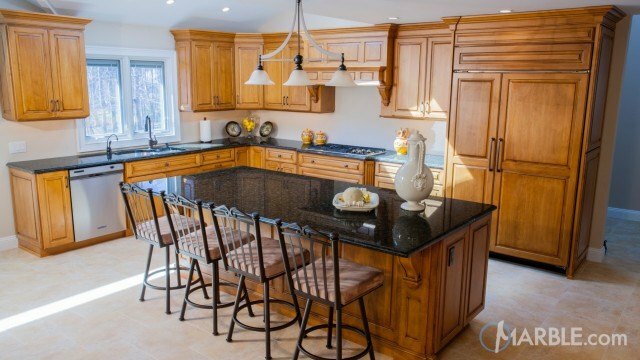 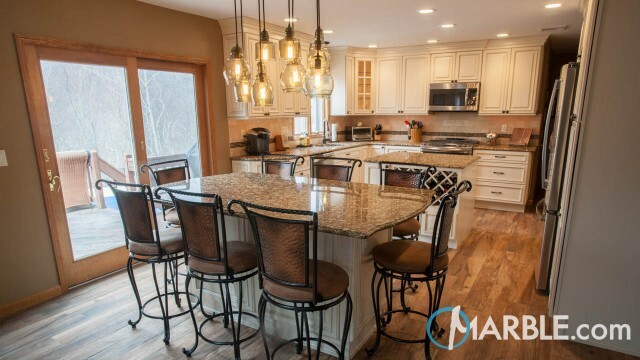 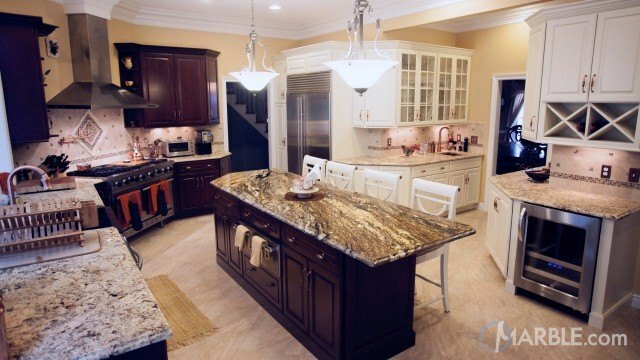 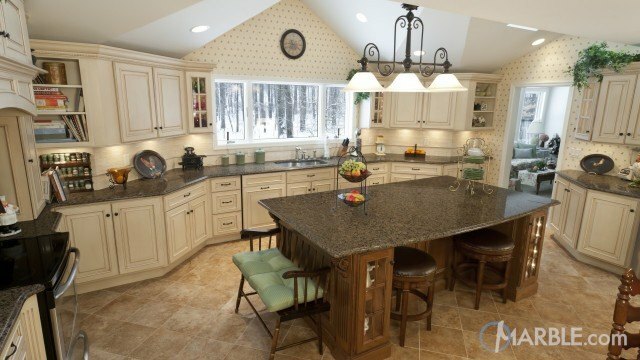 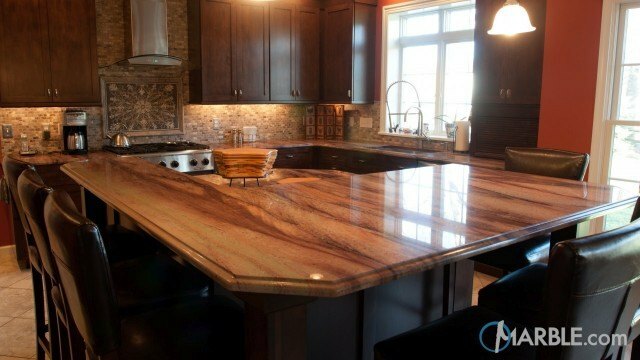 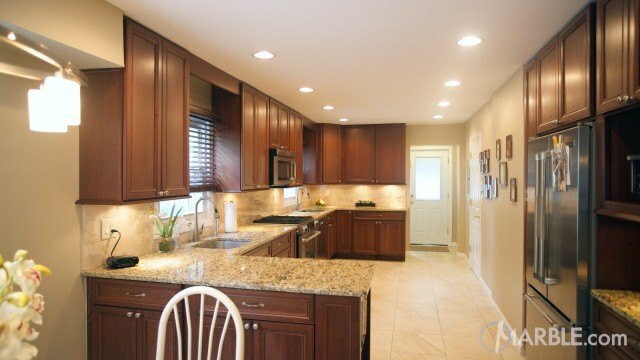 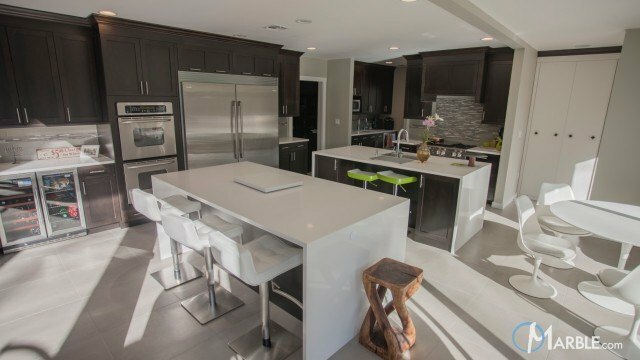 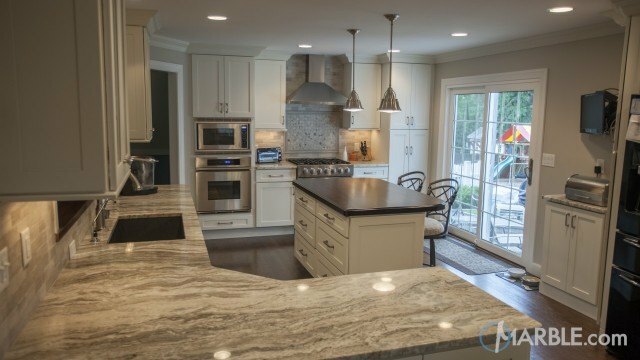 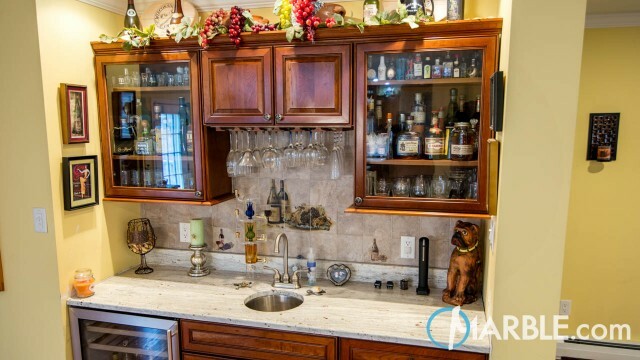 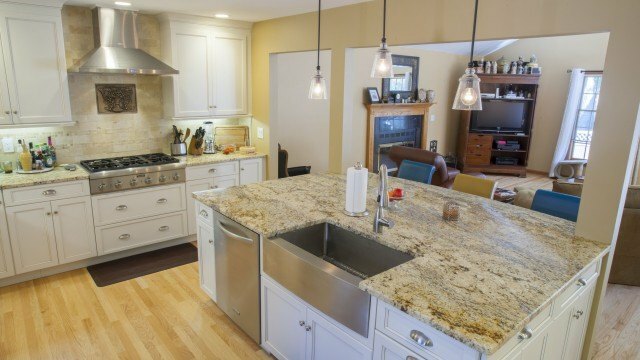 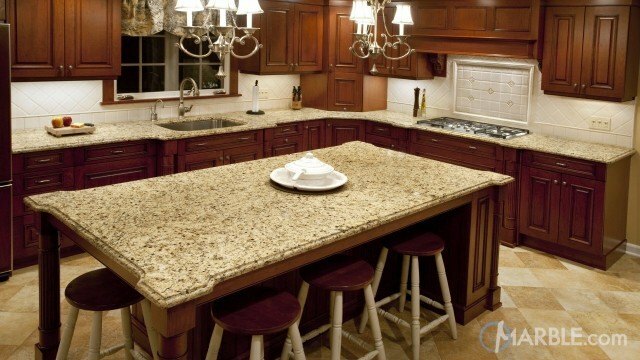 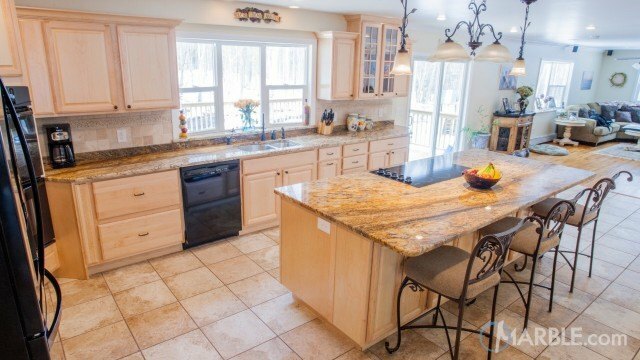 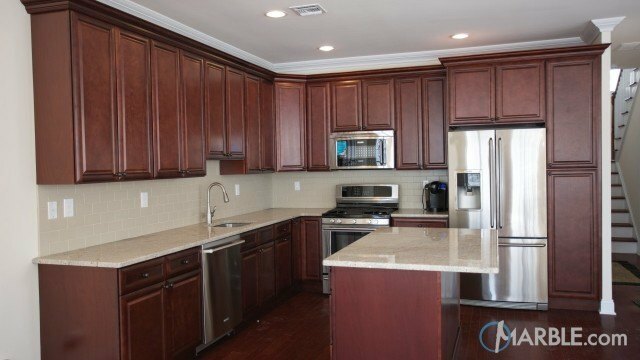 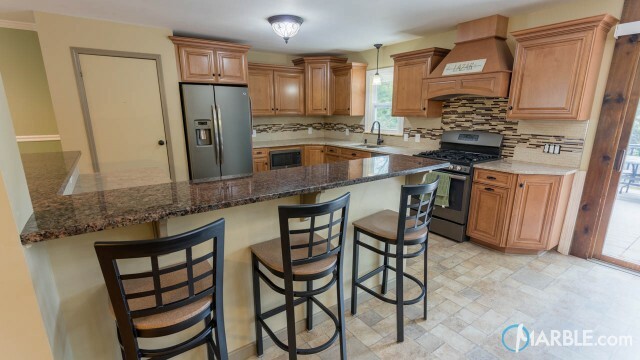 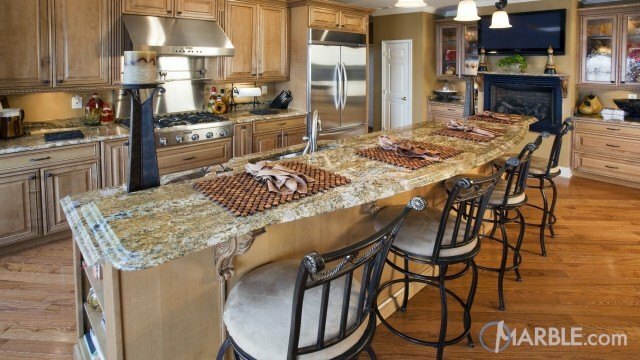 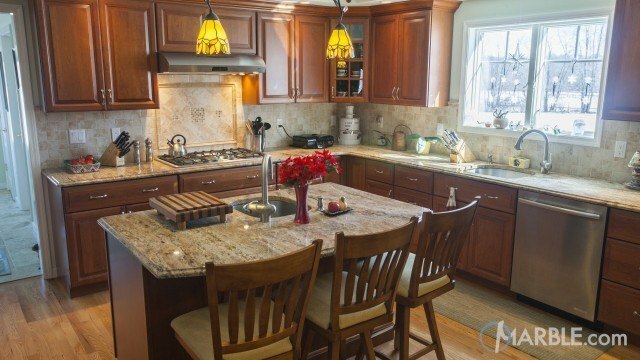 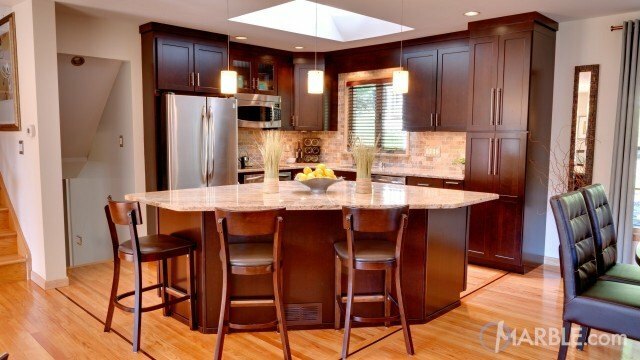 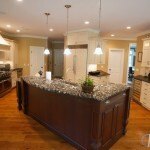 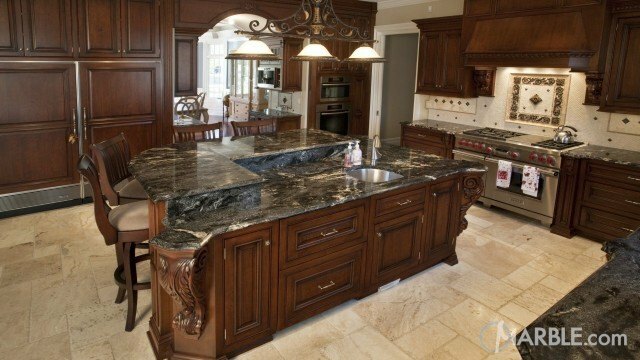 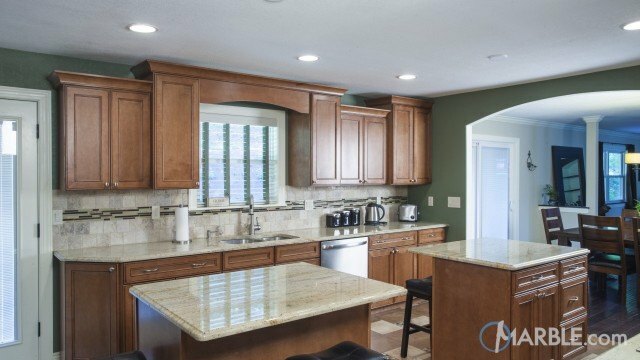 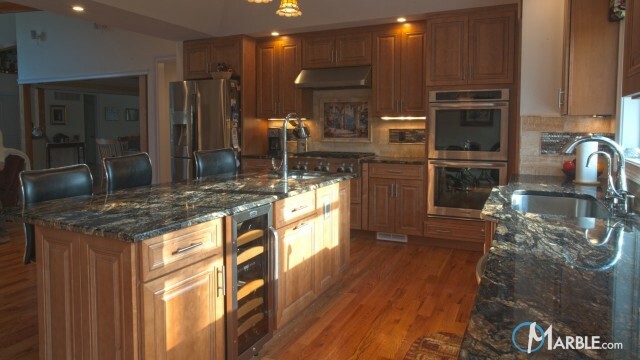 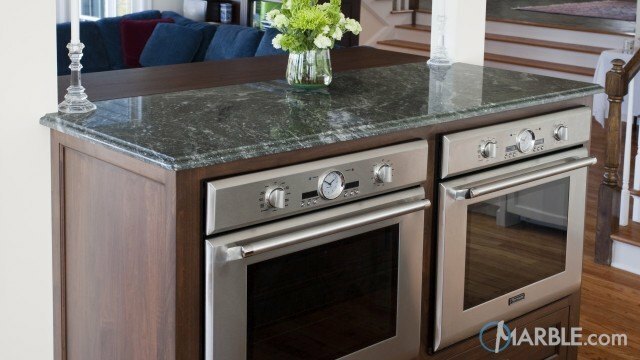 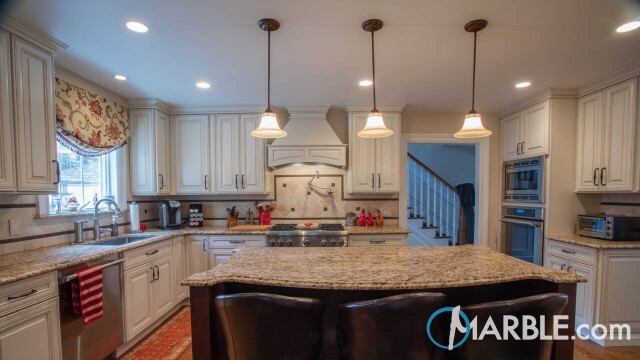 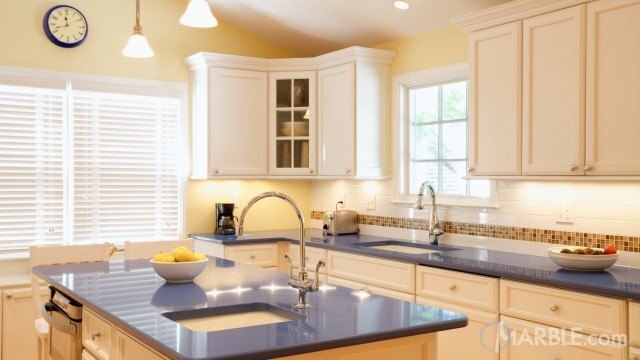 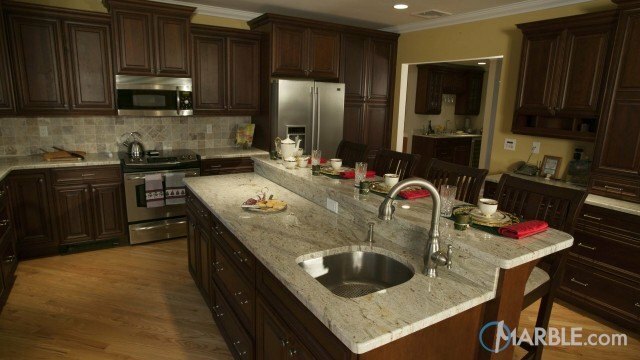 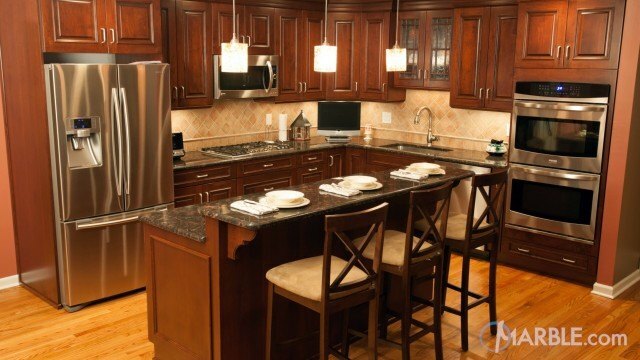 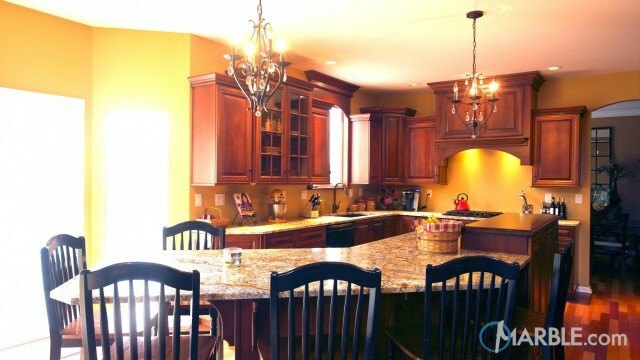 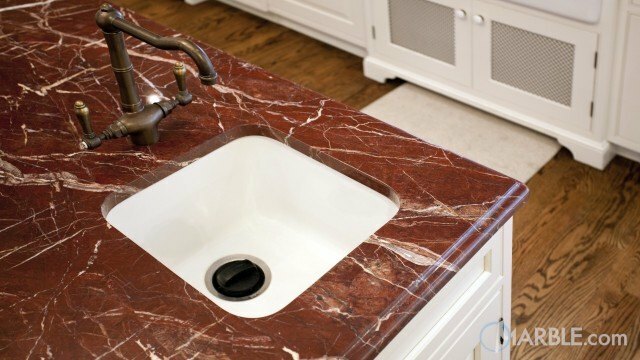 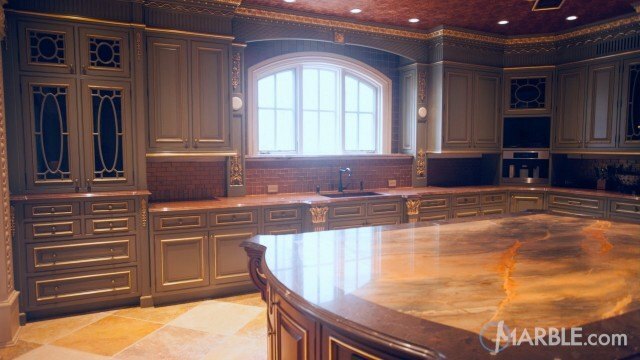 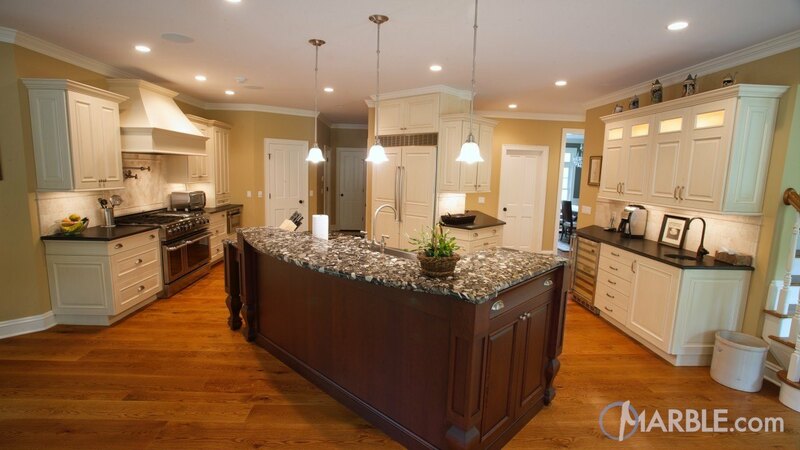 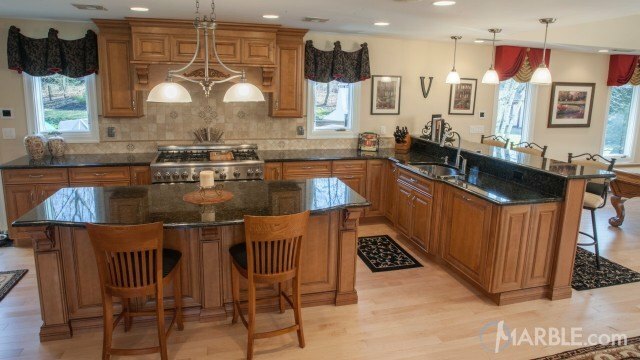 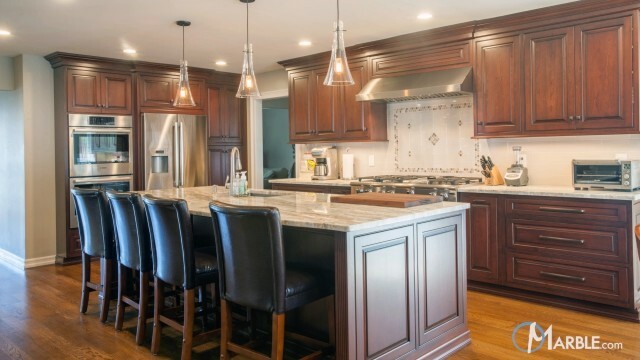 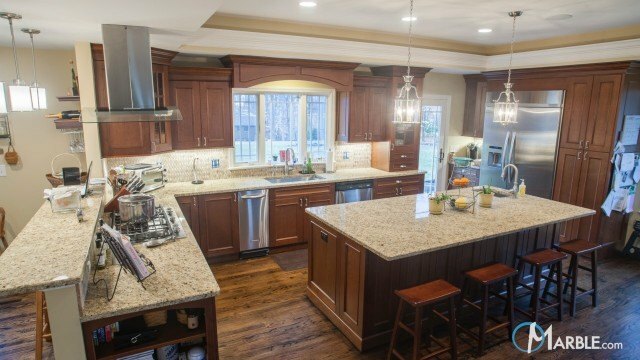 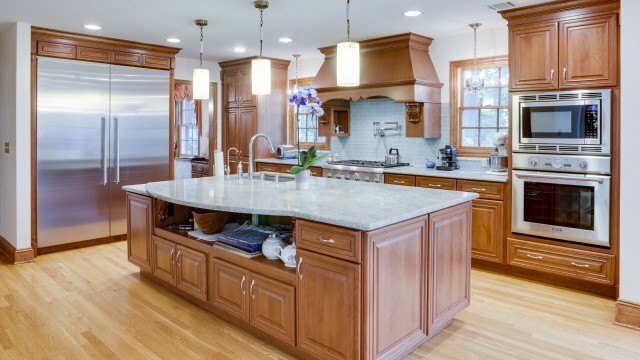 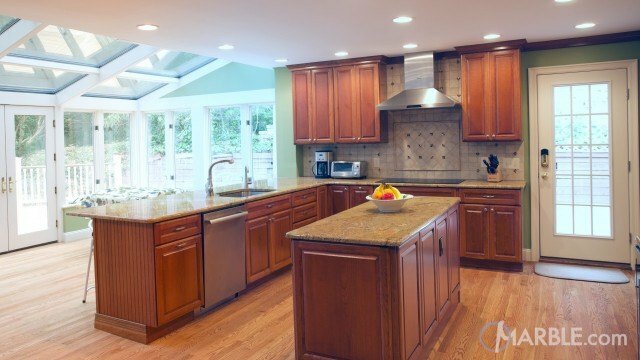 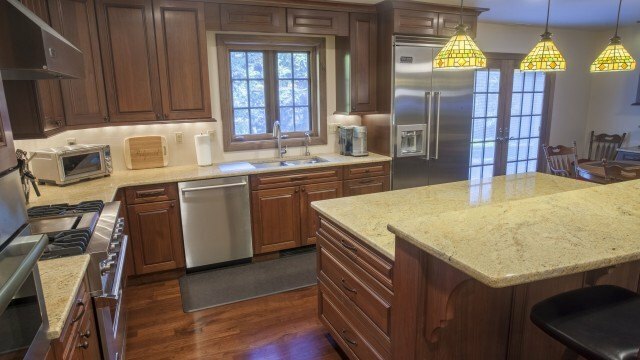 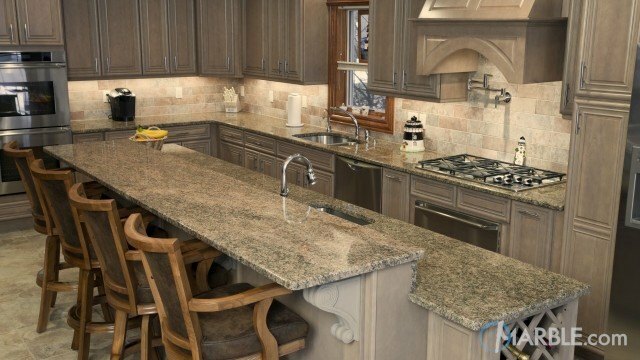 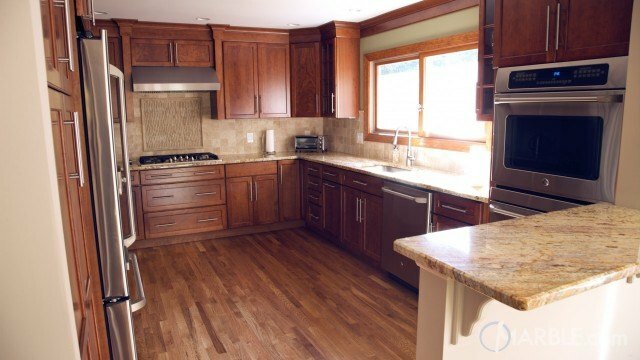 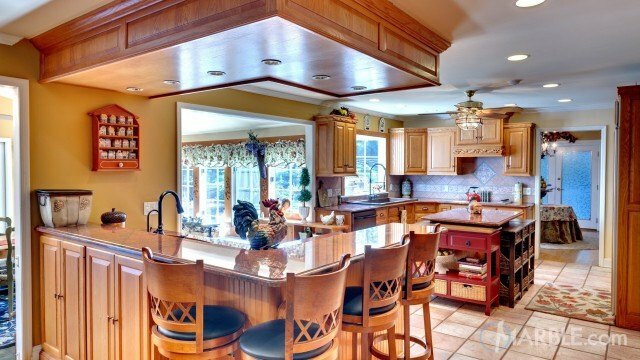 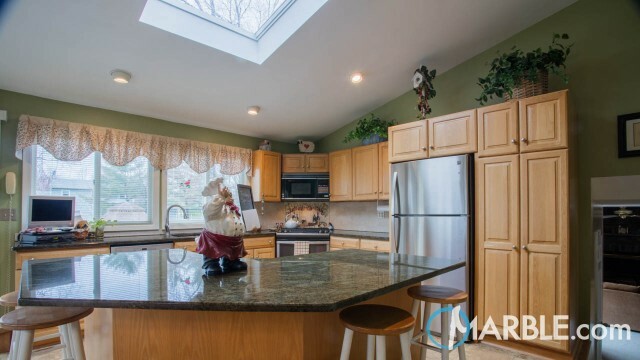 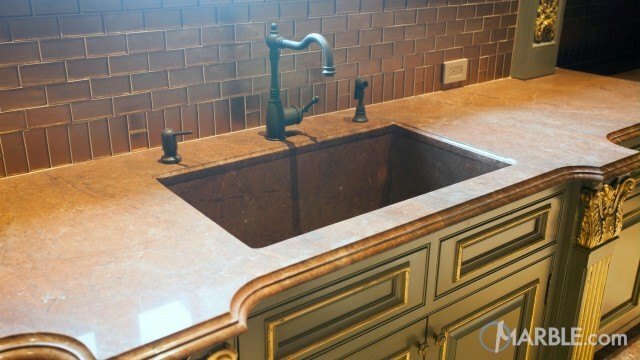 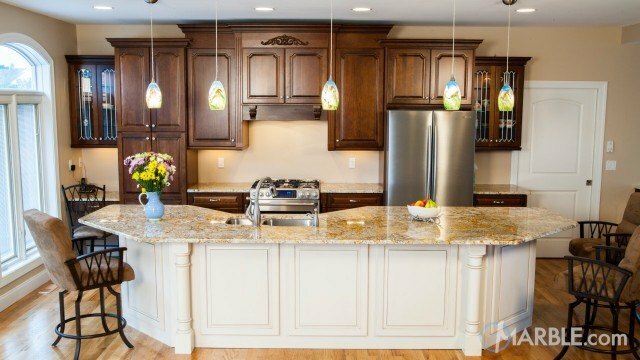 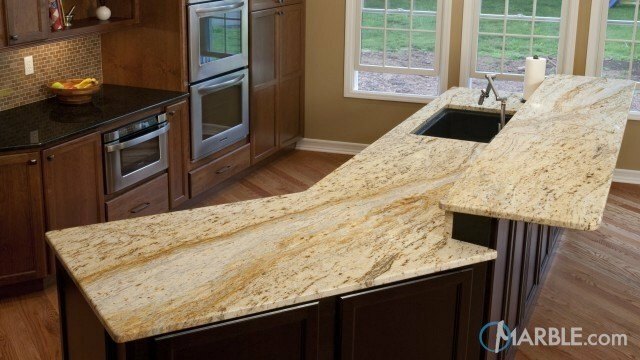 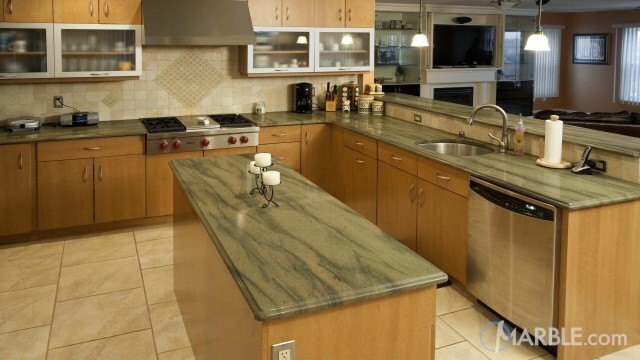 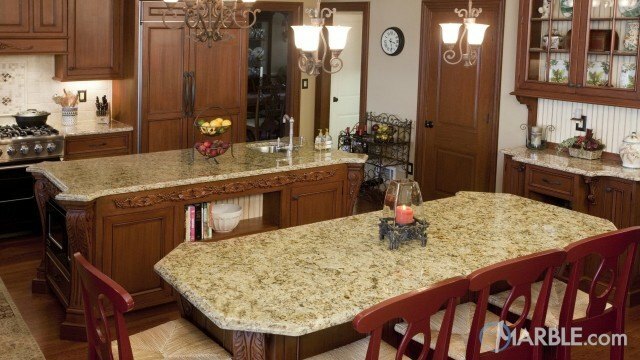 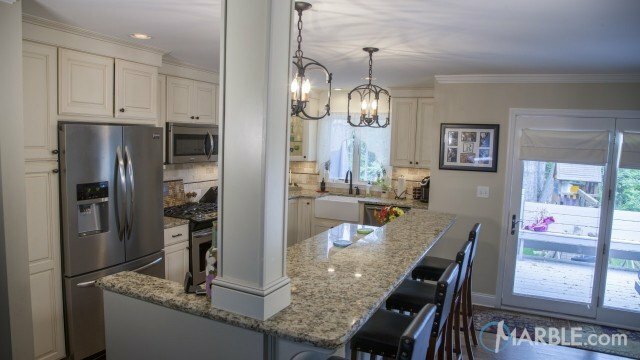 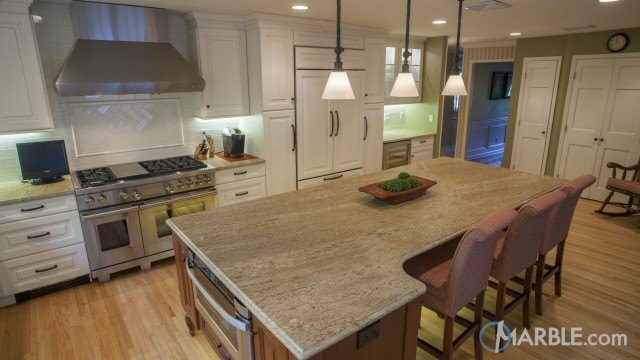 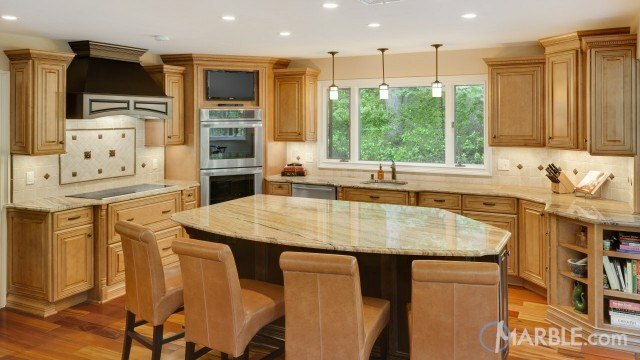 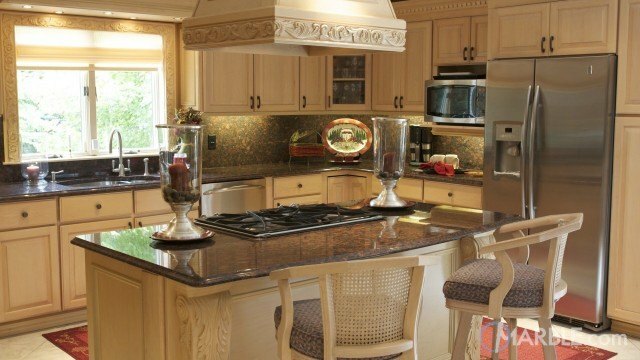 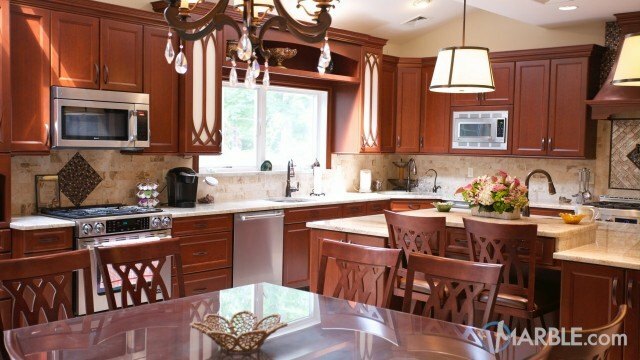 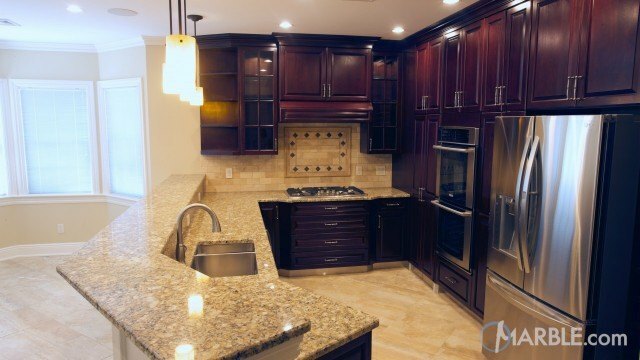 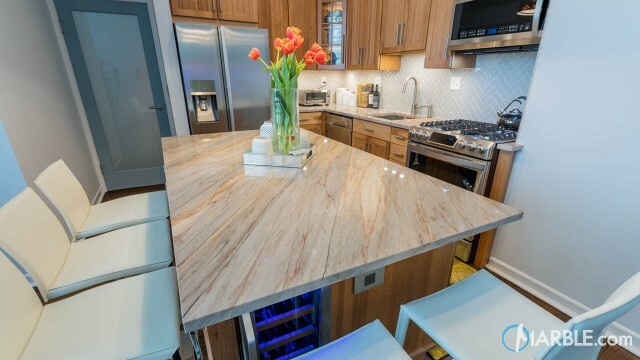 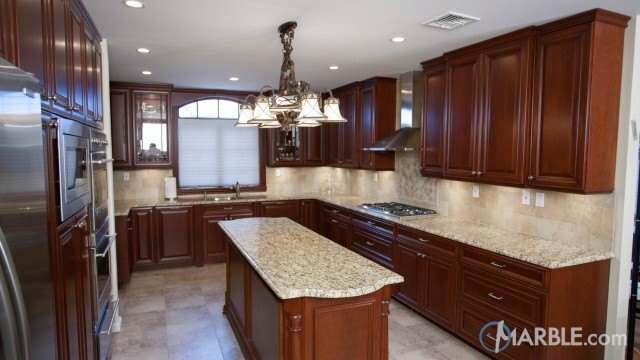 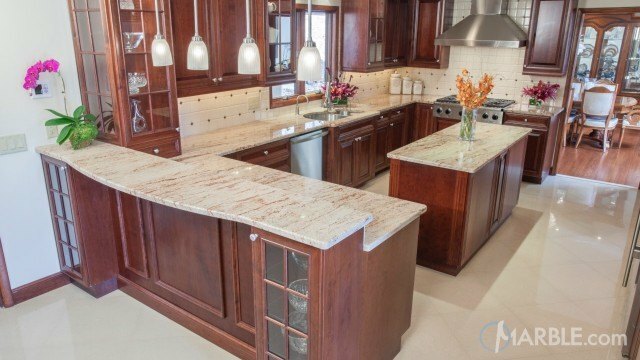 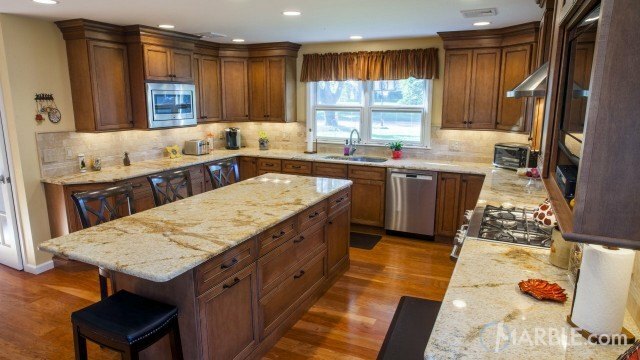 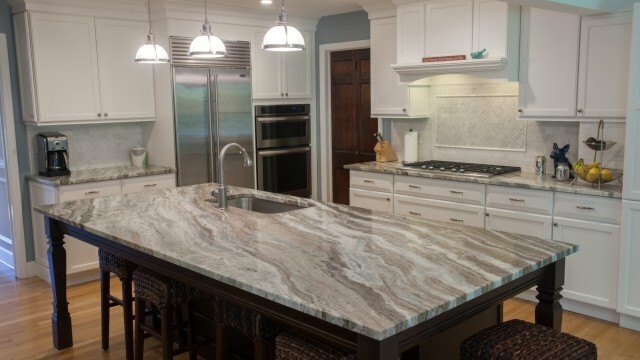 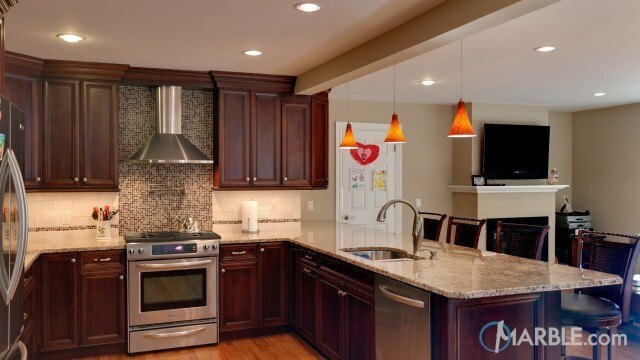 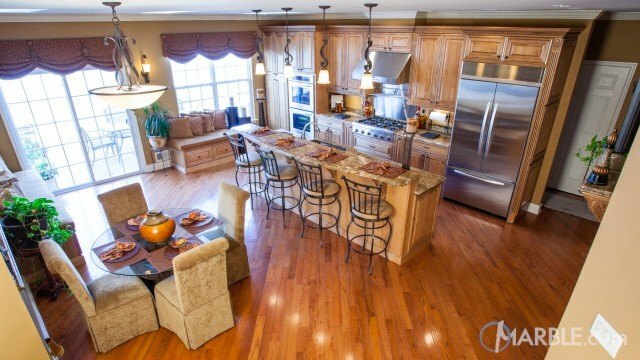 The island stands out against the dark wood cabinets beneath. 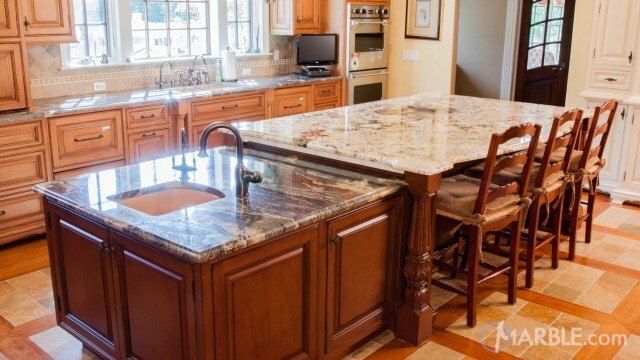 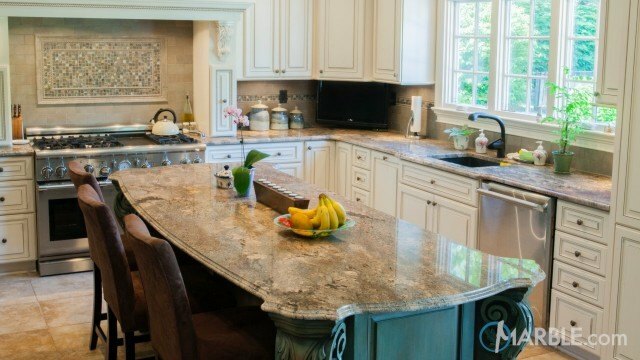 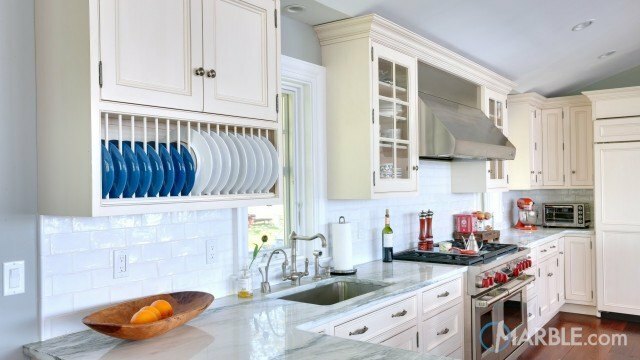 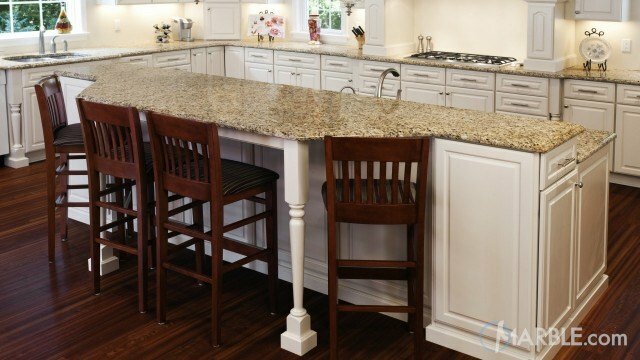 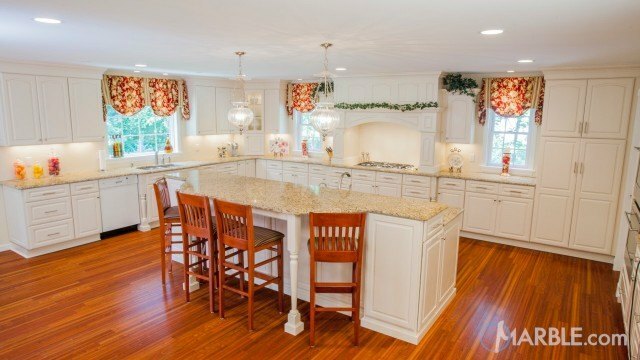 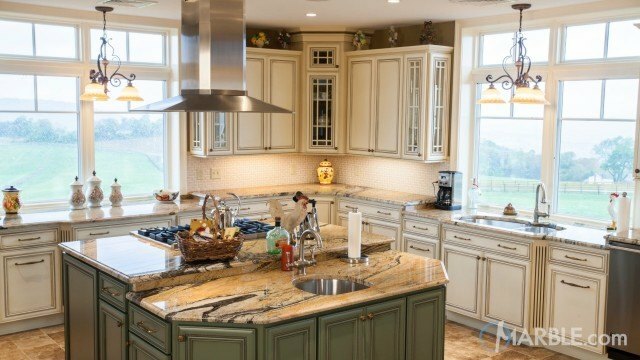 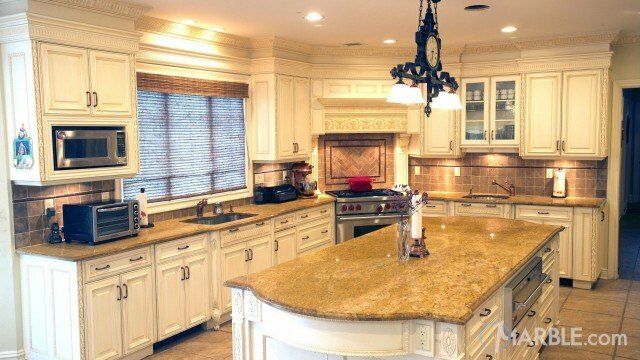 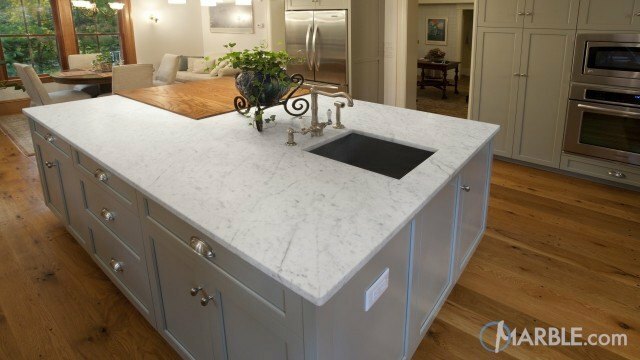 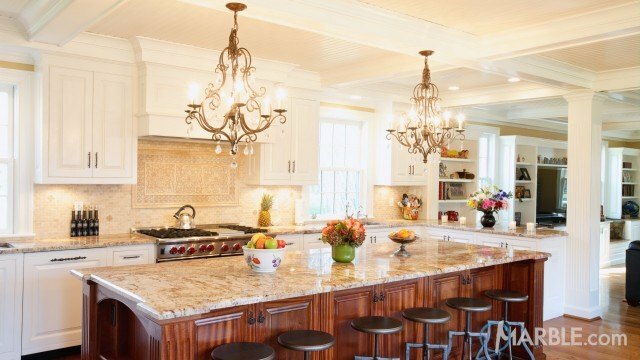 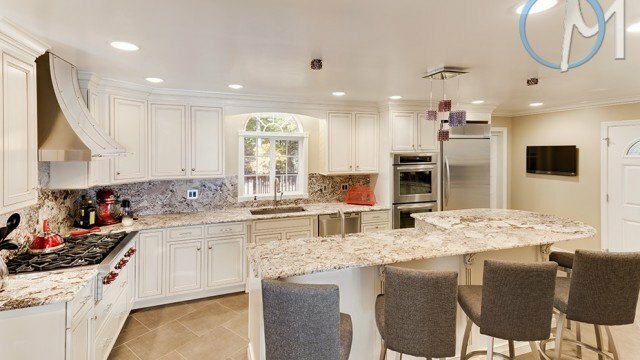 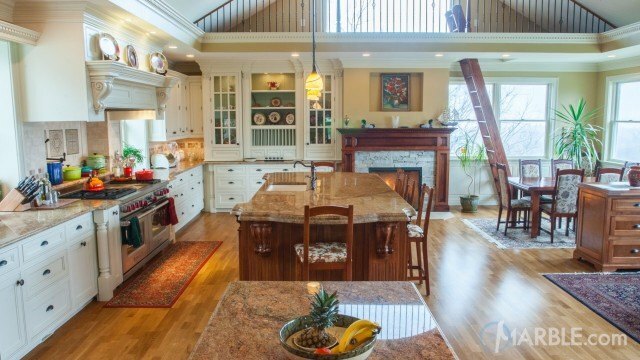 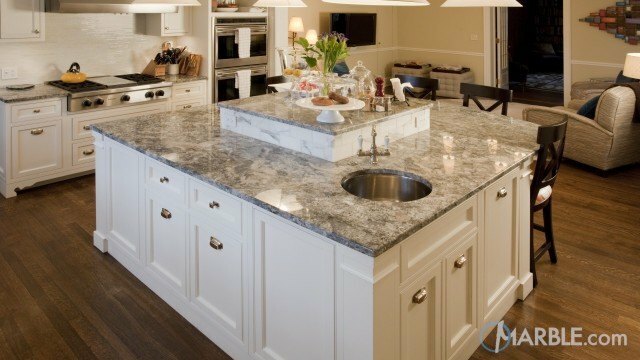 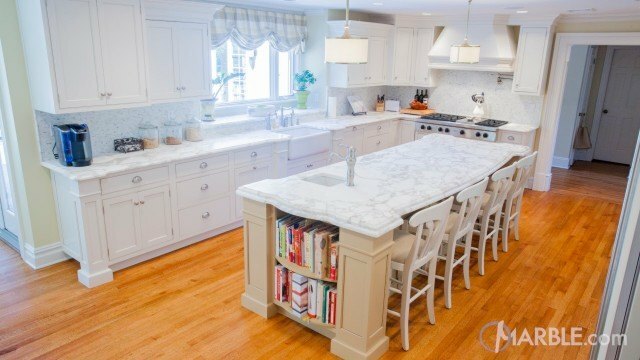 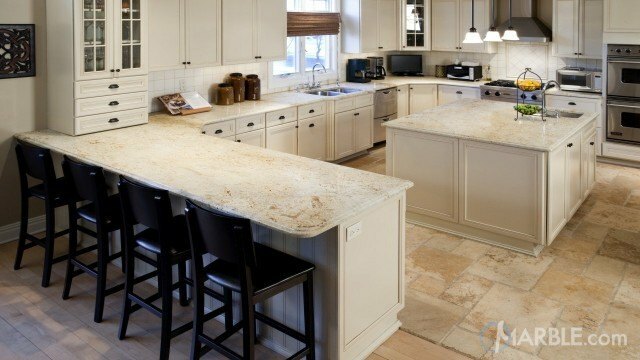 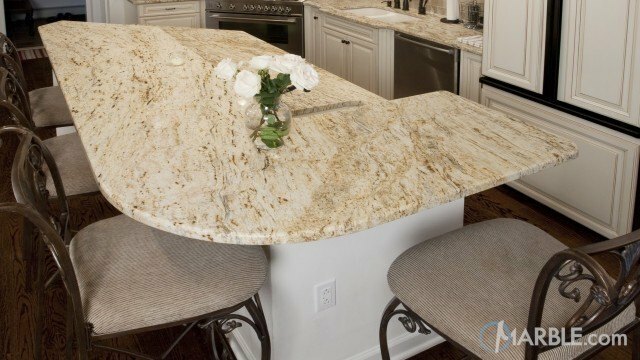 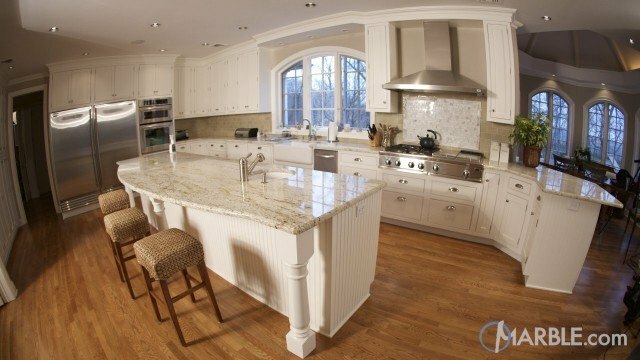 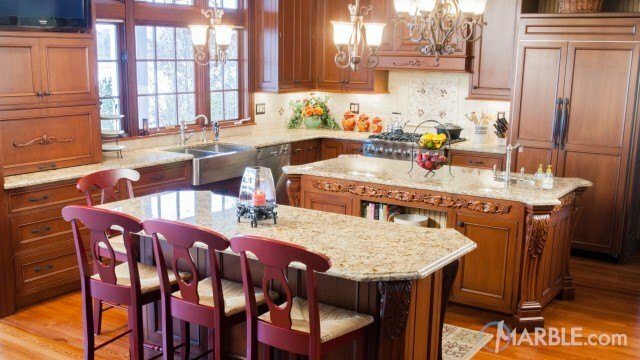 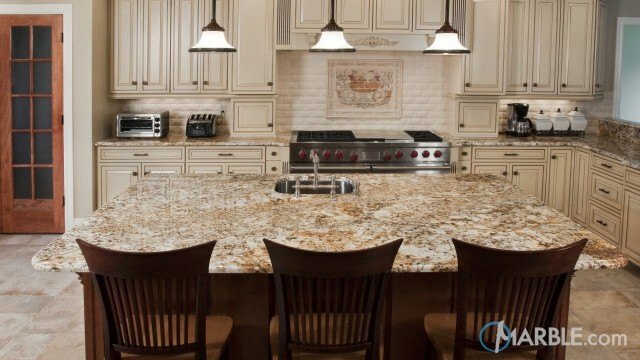 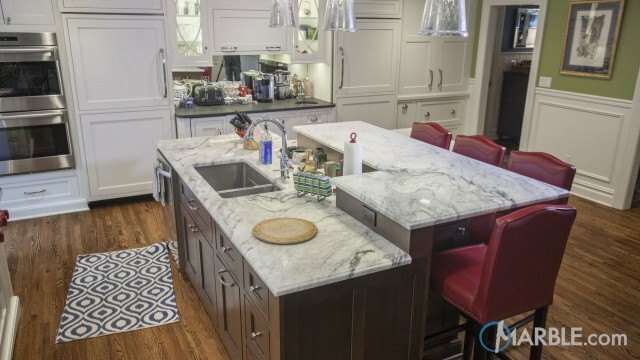 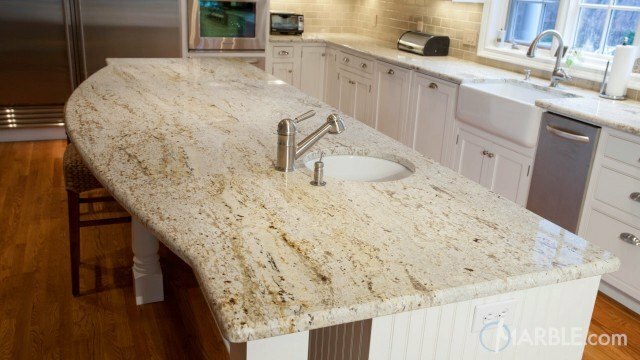 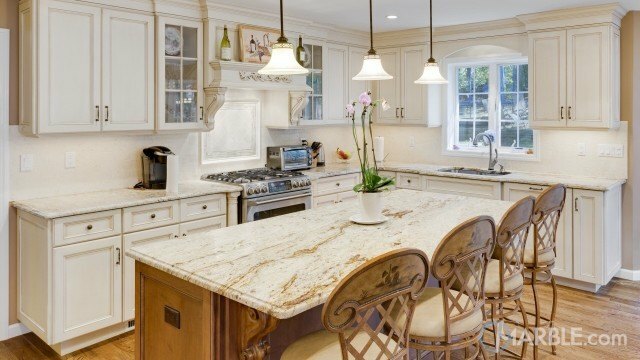 White cabinets around the rest of the kitchen provide the perfect contrast to this beautiful two-tiered island.